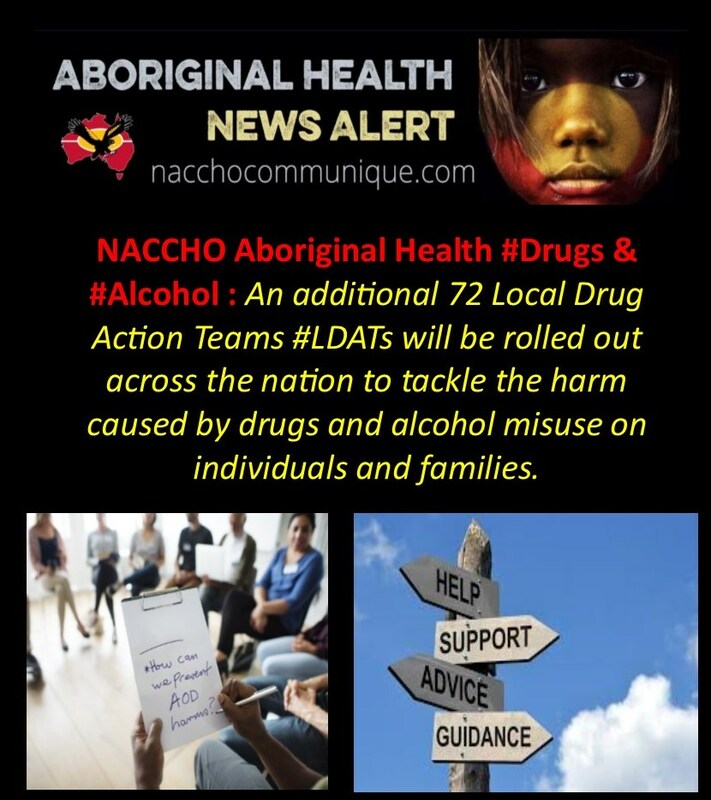 NACCHO Aboriginal Health #Drugs #Alcohol : Minister @senbmckenzie An additional 72 Local Drug Action Teams #LDATs will be rolled out across the nation to tackle the harm caused by drugs and alcohol misuse on individuals and families. “ It’s fantastic to welcome 72 new LDATs to the program who will develop and deliver local plans and activities to prevent alcohol and drug misuse in their local communities. Today’s announcement brings the total number of LDATs to 244 across Australia, exceeding our target of 220 by 2020. LDATs bring together community organisations to tackle substance misuse which can have devastating impacts on our communities – especially in rural and regional areas – and it’s clear that our communities are increasingly becoming empowered to take action at the local level. Speaking at the Wellington LDAT site in Sale, Victoria, the Minister for Regional Services, Senator Bridget McKenzie today congratulated the local community organisations, along with their partners, that will receive funding from the Federal Government through the fourth round of the successful Local Drug Action Team Program. 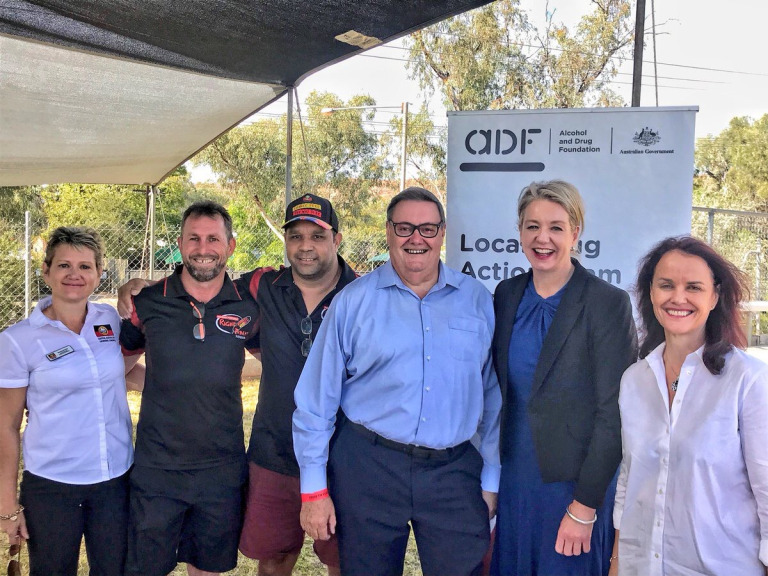 The new LDATs are being supported through the $298 million investment under the National Ice Action Strategy to combat drug and alcohol misuse across Australia. Each of the 72 LDATs will receive an initial $10,000 to help them to refine a local community action plan. Each team will have an opportunity to apply for additional funding to support the delivery of local activities once their plans are finalised. The Member for Gippsland Darren Chester welcomed today’s funding announcement. ”Gippsland is no different to other areas and drugs and alcohol are ruining lives and devastating families. Ice and other drugs do not discriminate. “Many of us personally know families in our community who are dealing with the fallout of these insidious drugs. Minister McKenzie said the LDATs announced will be supported to identify and deliver evidence based prevention, promotion and harm-reduction activities which will work for their local community. Minister McKenzie acknowledged the importance of LDATs for driving change at a local level and highlighted the great work coming out of the program. “The Hepburn LDAT, for instance, in Victoria is working to prevent and minimise harm from alcohol and drug misuse by improving access to education and skills development for young people,” Minister McKenzie said. The Local Drug Action Team Program is a key component of the National Ice Action Strategy. For free and confidential advice about alcohol and other drugs treatment services, please call the National Alcohol and Other Drug Hotline on 1800 250 015. More information about LDATs can be found on the Alcohol and Drug Foundation website. Alcohol and other drug-related harms are mediated by a number of factors – those that protect against risk, and those that increase risk. For example, factors that protect against alcohol and other drug-related harms include social connection, education, safe and secure housing, and a sense of belonging to a community. Factors that increase risk of alcohol and other drug-related harms include high availability of drugs, low levels of social cohesion, unstable housing, and socioeconomic disadvantage. Most of these factors are found at the community level and must be targeted at this level for change. We encourage Local Drug Action Teams (LDATs) to link with and/or build on existing activity approaches that have been shown to work. Existing activities may have an alcohol and other drug focus, or possibly a different overall focus such as preventing gambling harm, or enhancing mental wellbeing. Be prepared to look outside the alcohol and other drug sector for possible approaches; for example, activities that share a focus on strengthening communities to improve other health and social outcomes. A limited number of existing activities are listed below. You may also find other activities through local health services, peak bodies and by drawing on local knowledge and networks you have access to. Delivered by the Alcohol and Drug Foundation , the Good Sports Program works with local sporting clubs across Australia to provide a safe and inclusive environment, where everyone can get involved. The activity has run for nearly two decades and is proven to reduce harm and positively influence health behaviours, as well as strengthen club membership and boost participation. Established 25 years ago, Big hART engages disadvantaged communities around Australia in art. Community Hubs provides a welcoming place for migrant women and their children to learn about the Australian education system. With strong evaluation to support the effectiveness of the program, Community Hubs focuses on engagement, English, early-years and vocational pathways. A national organisation that uses sport and art to improve the lives of people experiencing complex disadvantage. If you have found some existing activities that could be incorporated, it is useful to seek out further information to find out if it is relevant. Does the activity align with your community needs? Is the activity available in your geographic area? If face-to-face delivery is not available, is remote access an option? Has the activity been shown to be effective at strengthening community cohesion and connection, and reducing and preventing alcohol and other drug-related harms? What evidence is available to demonstrate this? Due to the limited number of existing activities available and the need for tailored approaches, many Local Drug Action Teams will work with partners to develop and deliver a targeted activity in their community. Review the paragraph below d. Determine resources required and Map your steps for insight into what is required when developing new approaches. International Women’s Day (IWD) will be celebrated today across all our 304 Aboriginal community controlled health clinics and 8 affiliates , where thousands of Aboriginal and Torres Strait Islander woman are involved daily in all aspects and levels of comprehensive Aboriginal primary health care delivery. Professional and dedicated Indigenous Woman CEO’S , Doctors, Clinic Managers, Aboriginal Health Workers , Nurses, Receptionists etc. 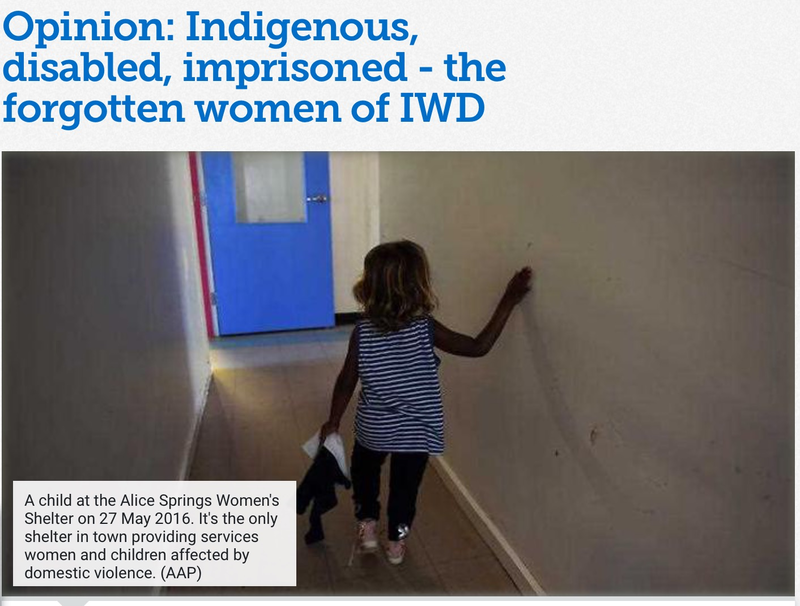 IWD is a global day celebrating the social, economic, cultural and political achievements of women. 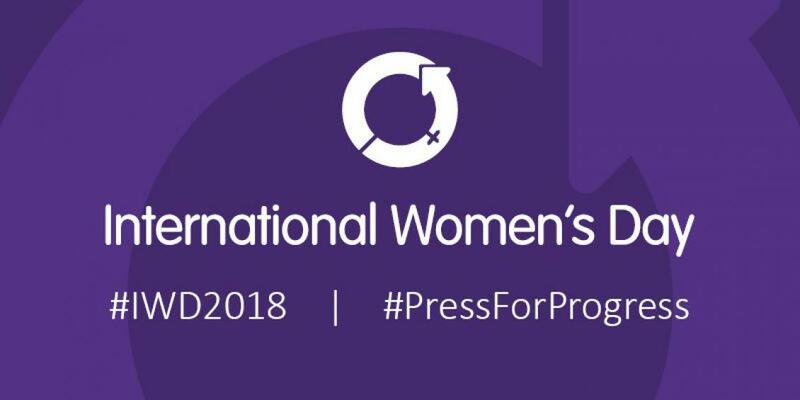 The theme this year is #PressforProgress, a call to action for accelerating gender equality. Our ACCHO workforce is leading the way. 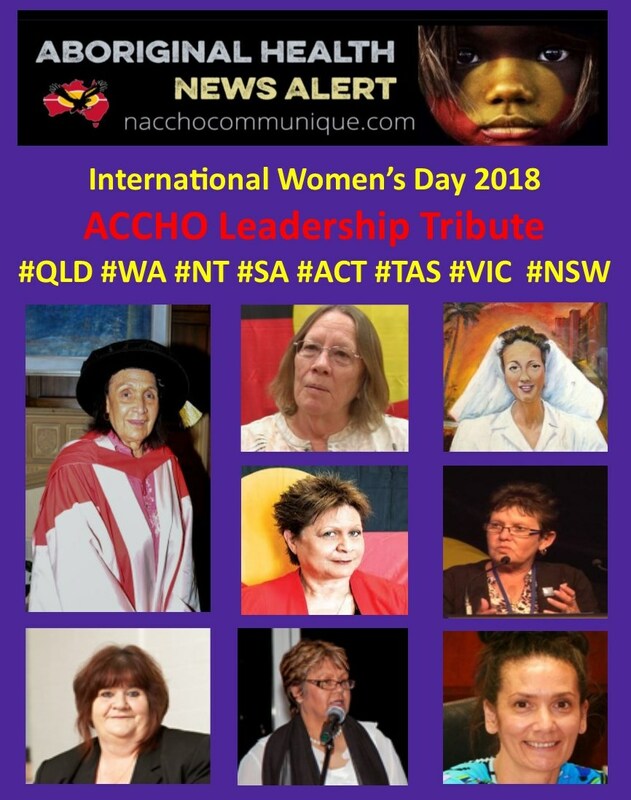 These woman in our tribute today represent the 45 years of ACCHO’s advocating for culturally respectful, needs based approach to improving the health and wellbeing outcomes of our people in the past and now into our healthy futures . 6.WA : Vicki O’Donnell. Chair AHCWA : CEO – Kimberley Aboriginal Medical Services. “Australia owes a debt of gratitude to Dr Mayers, for her impressive contribution towards improving health care policy, system delivery and access for Aboriginal and Torres Strait Islander people. Congratulating Dr Mayers, Deputy Vice-Chancellor (Indigenous Strategy and Services) Professor Shane Houston said her work had made a tangible difference to countless people. An advocate, leader and reformer, Dr Mayers has been at the forefront of change in health service provision to Aboriginal and Torres Strait Islander communities at local, state and national levels for over 40 years. One of the founders of the first Aboriginal community-controlled health service in Australia in early 1972, the Aboriginal Medical Service in Redfern, Dr Mayers worked as its Administrator, Company Secretary and finally Chief Executive Officer until her recent retirement. Over 40 years, she guided its transformation from a small shop-front into a nationwide network of services. Dr Naomi Mayers at the University of Sydney. 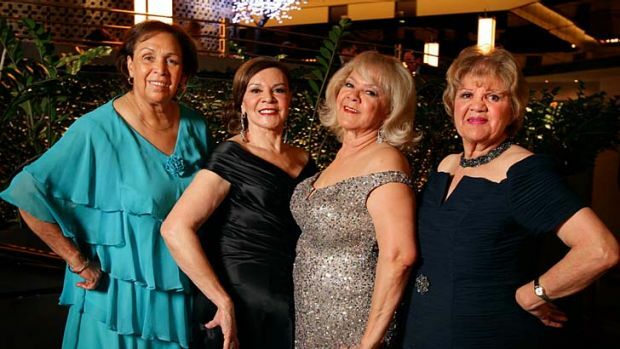 A Yorta Yorta/Wiradjuri woman, Dr Mayers was also a founding member of The Sapphires, the all-Aboriginal music group from country Victoria that formed the basis of the popular 2012 film of the same name. Presented with the honour during a graduation ceremony at the University’s Great Hall, Dr Mayers acknowledged the importance of collaboration and persistence in achieving change. At the age of 18, Dr Mayers began her work in health as a nurse, at the Royal Women’s Hospital and Royal Children’s Hospital in Melbourne, the Home Hill Hospital in Queensland and St Andrews Hospital in East Melbourne. She was also a board member of the Royal Flying Doctor Service. 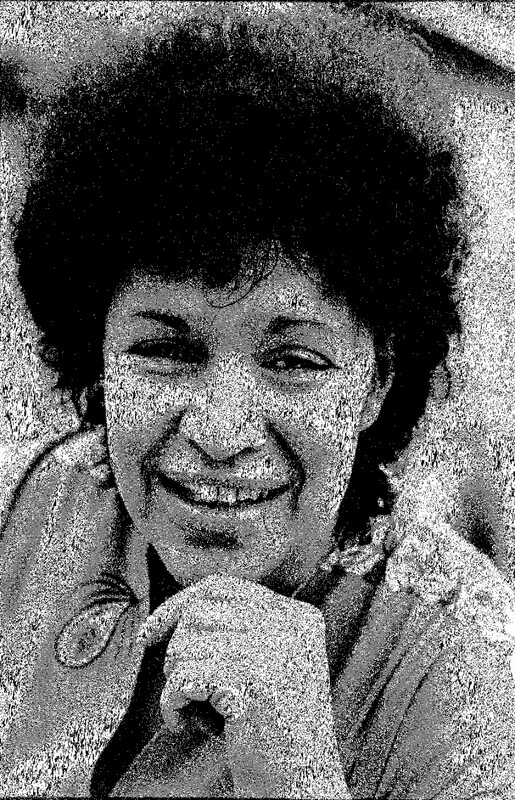 She was a founding member of the Aboriginal Health and Medical Research Council of NSW and the National Aboriginal and Islander Health Organisation (NAIHO, now the National Aboriginal Community Controlled Health Organisation); founding president of the Federation for Aboriginal Women; and a member of the first Australian and Torres Strait Islander Commission Regional Council (Metropolitan Sydney). 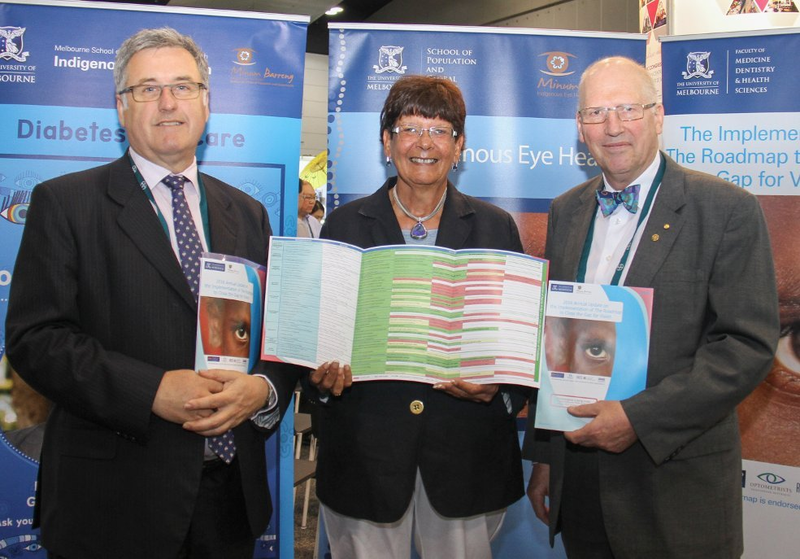 She was a witness during the inquiries of the 1977 House of Representatives Standing Committee on Aboriginal Health, and in 1981 she was appointed as a consultant by the Royal Australian College of Ophthalmologists. 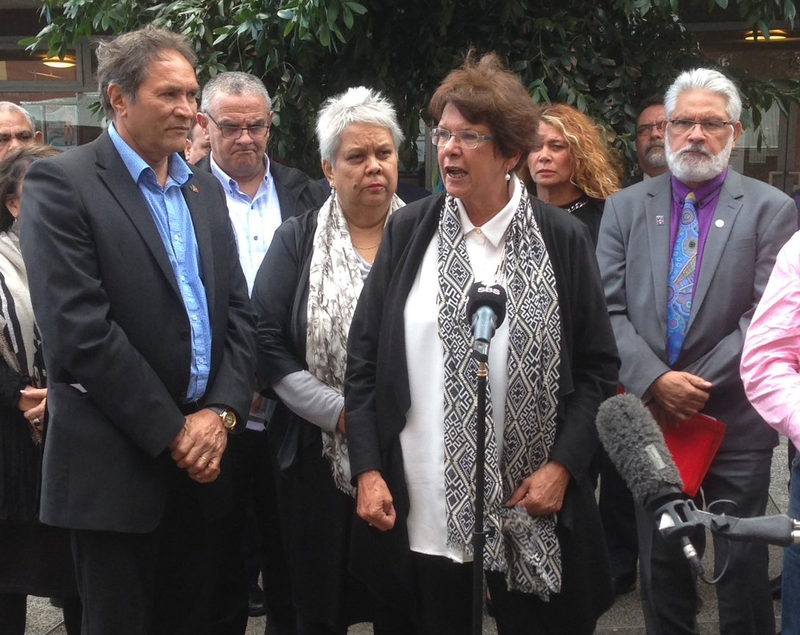 Dr Mayers was also Chair of the National Aboriginal Health Strategy Working Party, which authored a pivotal report that introduced innovative Aboriginal health sector reforms which helped shape the 150 Aboriginal Medical Services across Australia today. 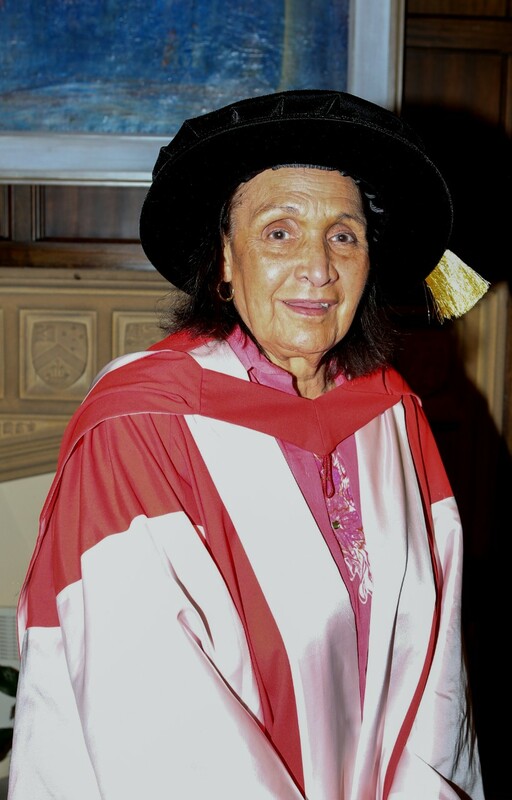 She was awarded a Medal of the Order of Australia in 1984 in recognition of her services to the community and holds a doctorate in Aboriginal Affairs from Tranby Aboriginal College in Sydney. 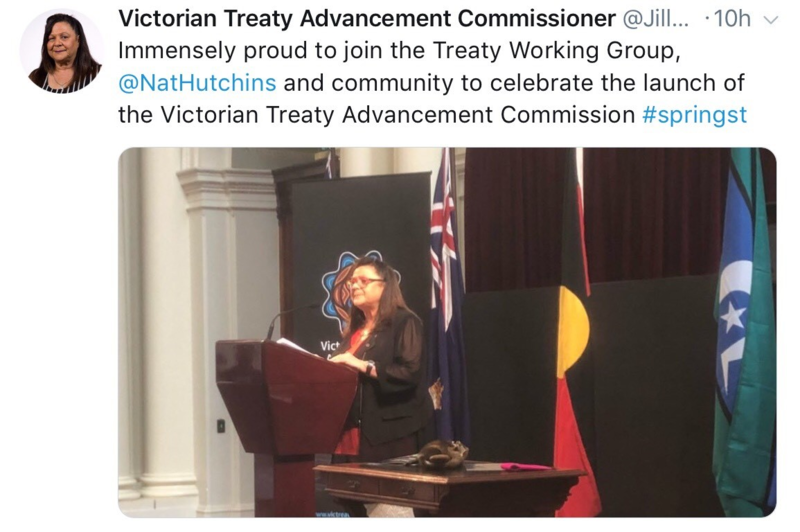 Ms Gallagher AO, a Gunditjmara woman from Western Victoria who has worked within, led and advocated for the Victorian Aboriginal community all her life, has been named Victorian Treaty Advancement Commissioner. Jill Gallagher AO has never hesitated to seize opportunities to support her community in the pursuit of better health, community autonomy and reclamation of the traditional culture and society of Aboriginal Victorians. A Gunditjmara woman, Jill was born in the Australian Capital Territory as her parents travelled looking for work. She was 1 of 10 children. Her mother, Frances (nee Winter) grew up at Framlingham in south-west Victoria. Jill’s father, of Irish descent, was accidentally killed when she was a baby. Jill spent her childhood in Gippsland, where her mother, like many Victorian Aboriginal people of the era, found seasonal work picking vegetables. This was a time before the emergence of Aboriginal organisations and there were few supports for women, particularly Aboriginal women. The seasonal camps in which the family stayed became their community. An abiding memory for Jill is of a campsite by a river in the evening, dotted with the glow of dozens of campfires. Jill’s family moved to Collingwood in 1963 when she was eight and her mother found work in a box factory. They had very little. Jill, who had by then attended 19 different primary schools, finished her primary education at George Street Primary School, but only had a short time in secondary education at Fitzroy Girls School. Rebellious and disobedient, she clashed with teachers and left school at the age of 14 to find factory work. In her early twenties, Jill regretted her lack of education. Now with a child of her own, she wanted more from life than factory work and realised that education would help her to support her family. Jill was fortunate to come across a training scheme for Aboriginal young people, introduced by then Victorian Education Minister Joan Kirner. She was thrilled to be accepted and began training at the Museum of Victoria. She took advantage of access to the professional development offered there and later took up a position at the Victorian Archaeological Survey. More importantly, she grasped the opportunity offered by the Museum’s collections to reclaim knowledge of traditional culture, language, stories and people that had been impacted by white settlement and the devastation it left on Aboriginal people. She saw an opportunity to rediscover truths about Aboriginal society before European settlement and to pass this knowledge on to young people. Jill became a firm advocate of the importance of Aboriginal voices in the collection and management of their heritage, maintaining this passion in a further role as manager of the Heritage Branch of Aboriginal Affairs Victoria. Jill was and is still is very passionate about the repatriation of Aboriginal cultural property, and the return of ancestors for reburial, being very active in this field since its beginnings in the 1980s. She worked at the Museum of Victoria when the Aboriginal Legal Service fought to have the Murray Black collection of Aboriginal remains returned to Victoria from institutions such as the University of Melbourne and the National Museum of Australia. Although she moved out of the Aboriginal heritage field in 1998, Jill remained passionate about its importance. For many years she continued to serve on the National Committee for the Repatriation of Skeletal Remains. 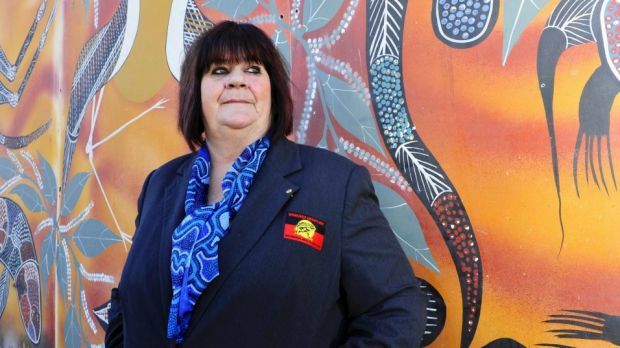 In 1998 Jill’s commitment to Aboriginal community control saw her take up a position at Victorian Aboriginal Community Controlled Health Organisation (VACCHO), a peak body advocating for the many community controlled Aboriginal health services in Victoria. 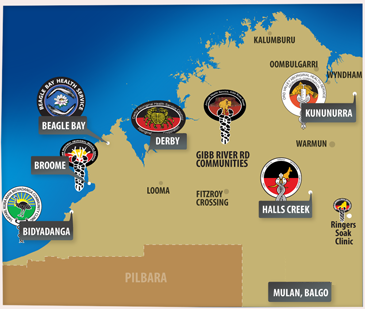 Jill was aware that these organisations had been founded to offer meeting places where Aboriginal communities could be visible once again in the landscape. She reinforced VACCHO’s role in supporting its member organisations to stay true to their community beginnings. She also refined and modified their practices to improve health outcomes for Aboriginal Victorians. 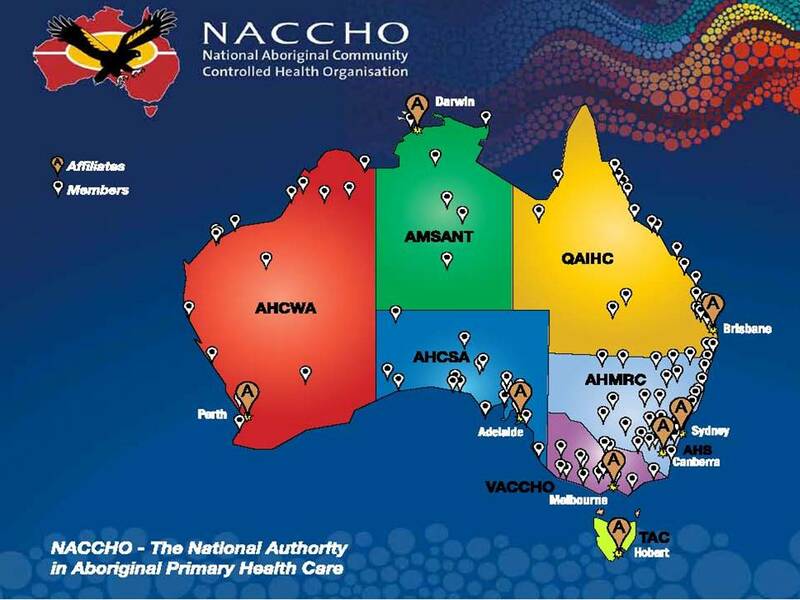 Since 2000, VACCHO has offered training for Aboriginal Health Workers via its status as a Registered Training Organisation. 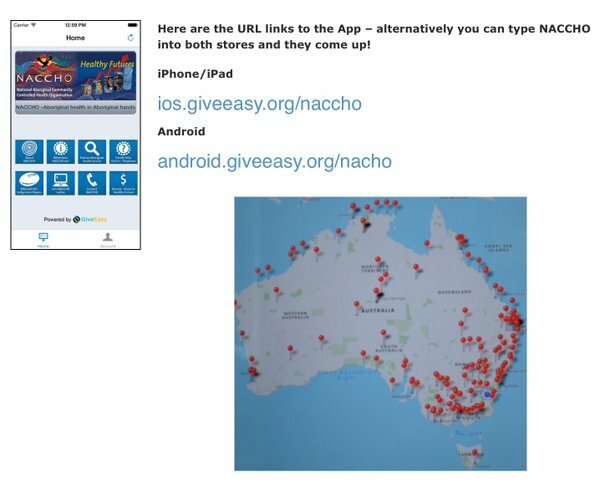 Constantly seeking ways to improve health outcomes for Aboriginal Victorians, VACCHO now collects and analyses data collected by its member organisations in order to strengthen their services. As the CEO of VACCHO since 2001, Jill has seen the organisation grow significantly with current staff numbers at 75. 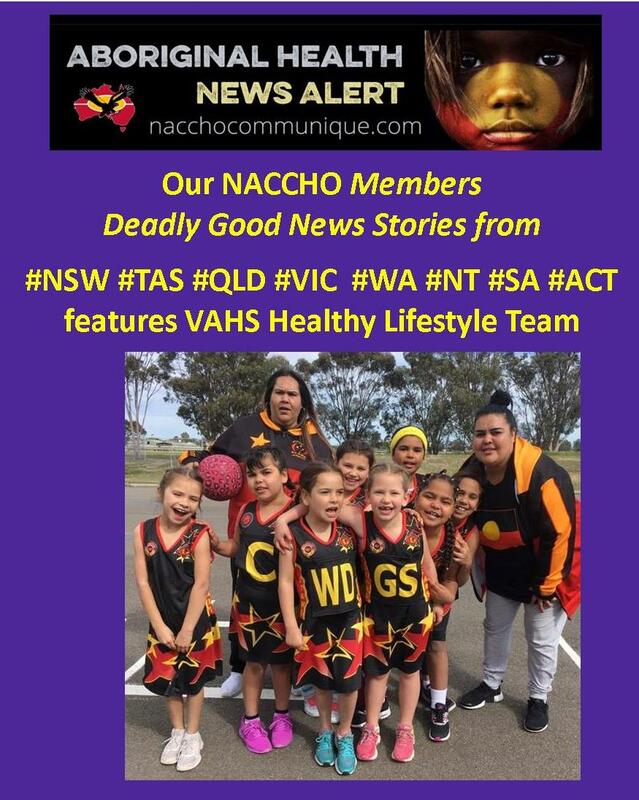 VACCHO has developed innovative preventative and educational health programs, including the Well Person’s Checklist, the Koori Maternity Services Program, and a successful diabetes education initiative. One of Jill’s proudest achievements was gaining bipartisan support for the vital ‘Statement of Intent’ signed by the Victorian Premier in August 2008 on behalf of the State government. This statement pledged to close the gap between Indigenous and non-Indigenous Australians in life expectancy, educational achievement and employment opportunities. In 2010 Jill was inducted to the Victorian Honour Roll of Women. In 2013 she was awarded an Order of Australia in recognition of her strong and effective leadership in Aboriginal health. She has also been a well-respected member of a number of State government and statutory advisory committees, including the Victorian Early Childhood Development Advisory Committee, the Equal Opportunity Commission Victoria Indigenous Reference Group, the Child Death Review, the Cooperative Research Centre on Aboriginal Health, and the Premiers Aboriginal Advisory Committee. 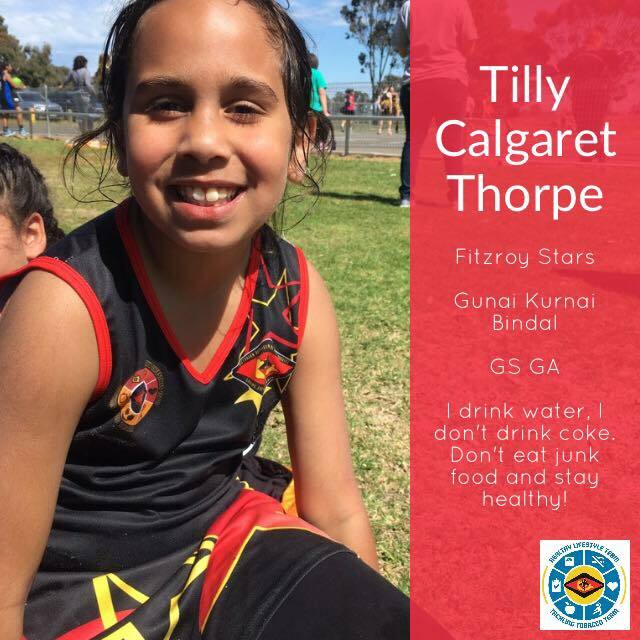 Jill cites her early career mentors, such as Jim Berg of the Koori Heritage Trust and Terry Garwood of Aboriginal Affairs Victoria, as great influences on her life, inspiring her with the confidence to believe in herself. But most of all she continues to be inspired by her mother’s determination and resilience in the face of everything she endured. Pamela Mam was born in Richmond in 1938 but came from Palm Island. Her mother was taken from Cook Town during the time of the stolen generation, and was sent away to Palm Island. Pam’s husbands name is Steve and her children are Tomasina and Mukubi. She has two grandchildren whose names are Darlene and Rendy, with the Ezra families living on Palm Island also. Pamela started working as a Nurse Aid in Palm Island Hospital and continued to work there for four years. 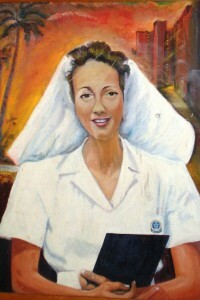 She completed her general training at Townsville Hospital between the years 1954 and 1959. She then went on to Midwifery at the Royal Women’s Hospital. In 1973 Pamela began work in the Raff Ward of the Royal Children’s Hospital. She was strongly encouraged by her husband to work in a field that would allow her to truly help her people in the area of health. She has been working in this area ever since and this year marks her 55th year in the field. This is a truly remarkable and outstanding feat. Pamela has said in the past that nursing has at times been a real challenge for her. Though against all the odds and her limited high school education, she has succeeded tremendously in both her personal and her professional life and has forged a career in the difficult and complex world of health. Being a role model for Indigenous people, and encouraging them to achieve in the way that she has, dispute the challenges, has been a real highlight for Pamela. 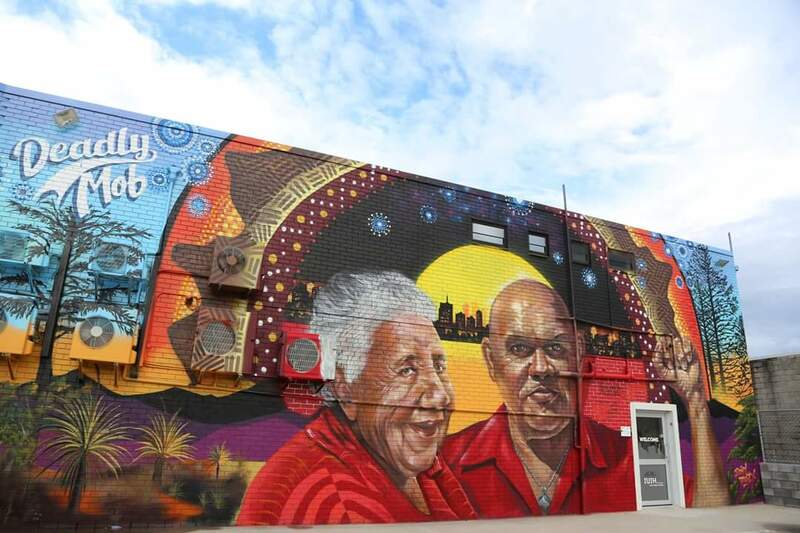 Her greatest achievement can be seen in the establishment of the Aboriginal and Islander Community Health Service and Jimbelunga Nursing centre. 4. 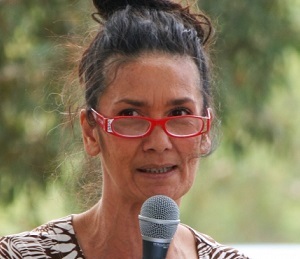 SA .Mary Buckskin (1958 – 2015 ) CEO of AHCSA for 8 years. Mary had a nursing background with qualifications as a registered nurse, registered midwife holding a Diploma of Nursing and an Advanced Diploma of Community Services Management. She held a number of different positions throughout her career in Aboriginal health including clinic nurse, community health nurse, senior policy officer, Aboriginal hospital liaison officer and clinical educator. 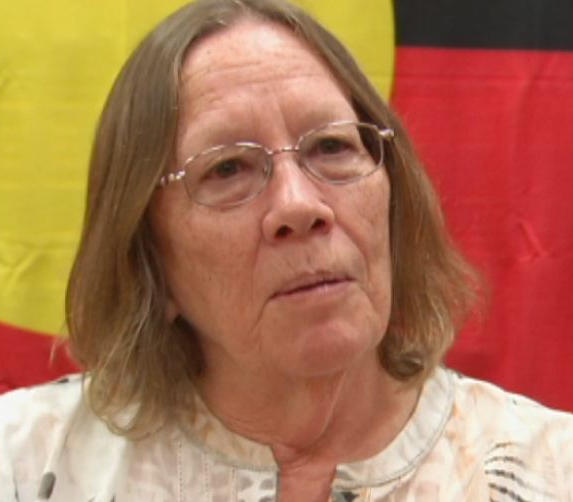 She was a board member of Nunkuwarrin Yunti Aboriginal Health Service (Adelaide) and past board member of Winnunga Nimmityjah Aboriginal Health Service (ACT) and the Aboriginal Elders and Community Care Services Inc (Adelaide). She has been actively involved in Aboriginal affairs for many years, especially in the area of Aboriginal adult education and Aboriginal health. In June 2011, Ms Ah Chee moved to Canberra to take up the position of Chief Executive Officer of the National Aboriginal Community Controlled Organisation before returning to Congress in July 2012. 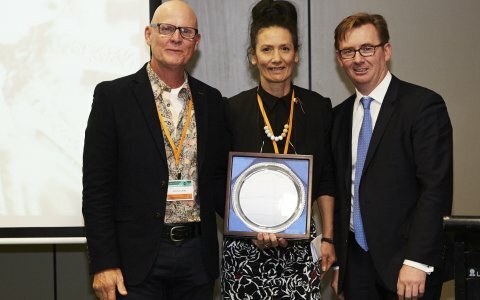 “This award recognises and acknowledges Professor Boffa and Ms Ah Chee’s unwavering efforts to achieve the best possible health outcomes for Aboriginal people, For almost two decades, they have formed a crucial partnership, working together to implement core services and reform Aboriginal primary health care in the Northern Territory. The Excellence in Health Care Award recognises ongoing commitment to quality health and medical care, policy, and research, and is awarded to an individual or individuals who have made a significant contribution to improving health or healthcare in Australia. Associate Professor Boffa is the Chief Medical Officer of Public Health at the Central Australian Aboriginal Congress Aboriginal Corporation and has worked in Aboriginal primary care services for more than 25 years. Ms Ah Chee is the Chief Executive Officer of the Central Australian Aboriginal Congress and is the former CEO of the National Aboriginal Community Controlled Health Organisation. Professor Owler said the pair had gone above and beyond in their commitment to improving the health of Aboriginal people. “Professor Boffa and Ms Ah Chee have worked tirelessly together to bring about reforms and accountability in Indigenous Health,” Professor Owler said. “Their service model on alcohol and drug treatment, which focused on three streams of care including medical, psychological and social and cultural support, resulted in a major alcohol treatment service being funded within an Aboriginal community controlled health service. I am a Nyikina Mangala Aboriginal woman from Derby where I grew up. 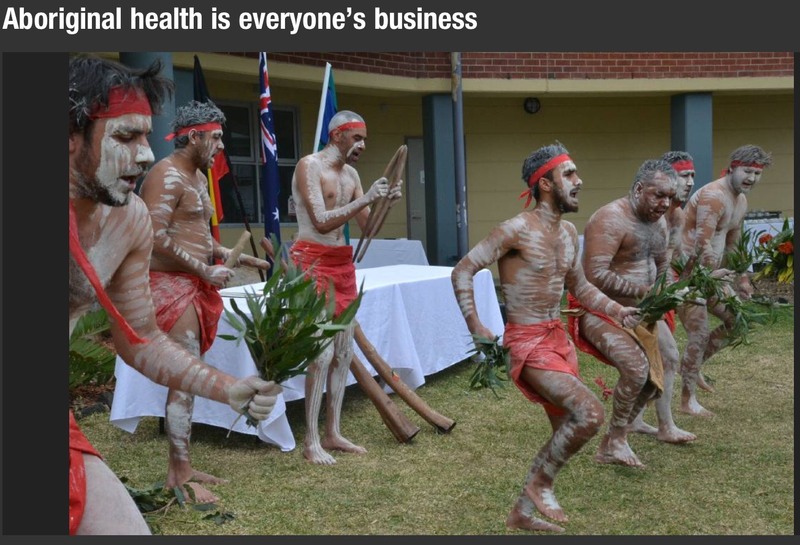 I have worked as a Strategic Leader in Aboriginal Community Controlled Health for the past fifteen years. This is demonstrated currently in my position of Chief Executive Officer (CEO) for the Kimberley Aboriginal Medical Service (KAMS) in Broome and my previous role as the CEO of the Derby Aboriginal Health Service for 12 years. KAMS (Kimberley Aboriginal Medical Services Ltd) is a regional Aboriginal Community Controlled Health Service (ACCHS), providing a collective voice and support for a network of member ACCHS from towns and remote communities across the Kimberley region of Western Australia. KAMS was first established in 1986 as a cooperative between the Broome Regional Aboriginal Medical Service (BRAMS) and the East Kimberley Aboriginal Medical Service (EKAMS) now the Ord Valley Aboriginal Health Service (OVAHS) with membership expanding to Halls Creek health service committee and Fitzroy Crossing community representatives. These communities saw the benefit of sharing pooled resources and collective effort in the region. 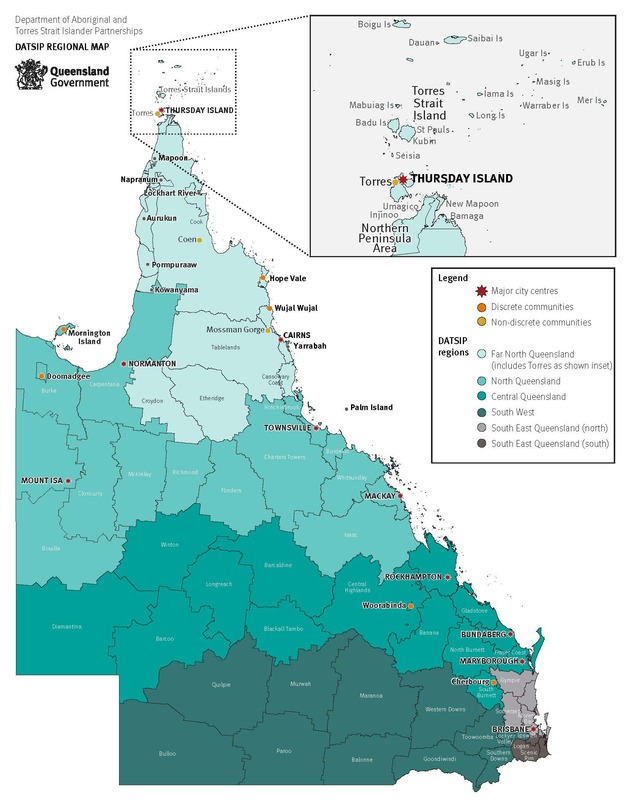 While the major role is in regional advocacy and support for member services, KAMS also provides comprehensive primary health care services in the remote communities of Beagle Bay, Bidyadanga, Balgo, Mulan and Billiluna. In 2014 KAMS established Kimberley Renal Services Pty Ltd to manage the provision of regional renal support and dialysis services in Broome, Derby, Kununurra and Fitzroy Crossing. My motivation is derived from working in health and specifically Aboriginal Health so that our people can have better access to health, wellbeing and to improved health outcomes in rural, remote and metro areas through Aboriginal Community Controlled Health Services. 1.Advocacy that translates into delivery, and ongoing support of Aboriginal programs across Western Australia at a Regional, State and National level. 2. Extensive expertise and understanding of Aboriginal health. 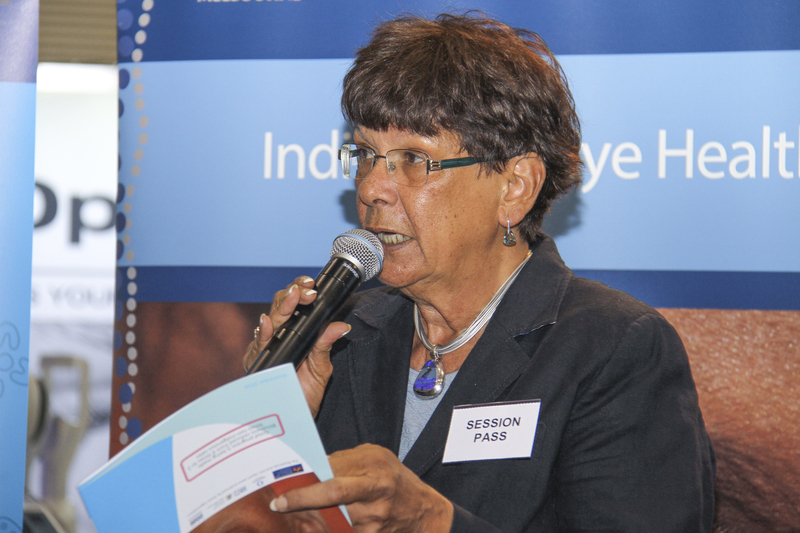 Julie Tongs OAM has been the Chief Executive Officer of Winnunga Nimmityjah Aboriginal Health Service since 1998. Julie has more than 30 years experience working in Aboriginal and Torres Strait Islander affairs and in particular has extensive experience in advising, formulating, implementing and evaluating public health initiatives, programs and policy at a local, regional and national level. Julie’s vision is that Winnunga continues to build on its reputation as a national leader in the provision of holistic primary health care services delivered in a culturally appropriate environment that achieves improved health outcomes for Aboriginal and Torres Strait Islander people. Julie is committed to ensuring that Winnunga offers services that are delivered consistent with best practice standards. Heather has been with the TAC since the early 1970s and despite some time away in Canberra and studying she has stayed with the organisation ever since. As well as an Arts degree, she has an honours degree in law and a graduate diploma in environmental management and is a Graduate of the Australian Institute of Company Directors. She has 2 beautiful activist and talented daughters and 2 magnificent granddaughters. Most of her working life has been as a single parent. She is proud to have assisted the emergence of other Aboriginal women and mothers as staunch advocates for their community. She considers her most worthy achievements to be quitting smoking after very many years of addiction and having steered the TAC from being a small, community controlled organisation that grew naturally from the big issues of injustice facing the community to a sophisticated multi-million dollar organisation that has survived the tight rope of accountability to its community and to the many competing demands of modern funding and governance requirements. She remains a firm believer in advanced educational studies for Aboriginal people, a goal that is showing real gains in Tasmania. 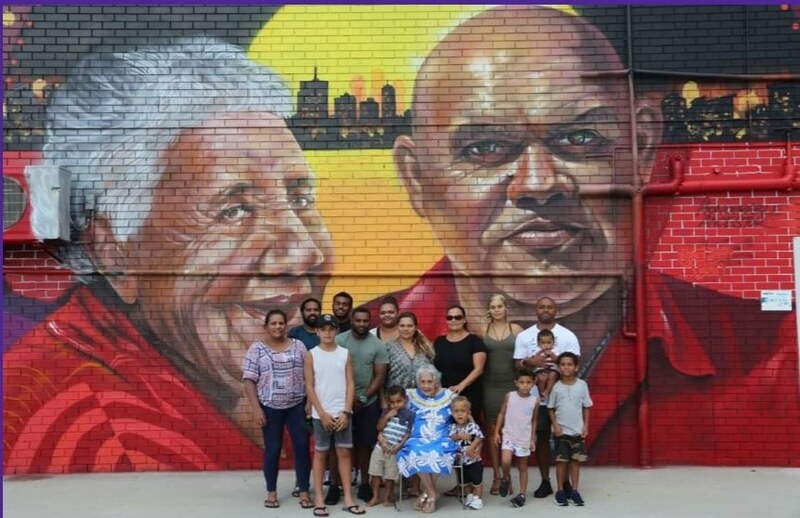 And at the same time in Tasmania she sees a real need for community to remain grounded in Aboriginal heritage and culture, a goal that is currently blossoming in Tasmania after so many years of attempts to destroy all cultural memory. She sees this as the way of the future representing a proper holistic approach to Aboriginal primary health care, without which there will be no Aboriginal community in a few generations. I’m not into this approach of singling out individual women as role models or heroes or trail blazers. Everything we do in Aboriginal community services is achieved by the dedicated teams of workers and community pulling in the same direction with the wellbeing of the community as our top priority. At the Aboriginal Health Service in Tasmania we have role models in so many of our community women now deceased: Ida West, Furley Gardner, Rosalind Atkinson Langford – and those still serving like Annette Peardon, Kerry Sculthorpe, Cheryl Mundy. In lutruwita/Tasmania it is not customary for us to celebrate achievements of one gender alone. While women have been at the forefront in Aboriginal community organisations and on committees, it is only by working as one unified community with men, elders and children that we have achieved our major gains. 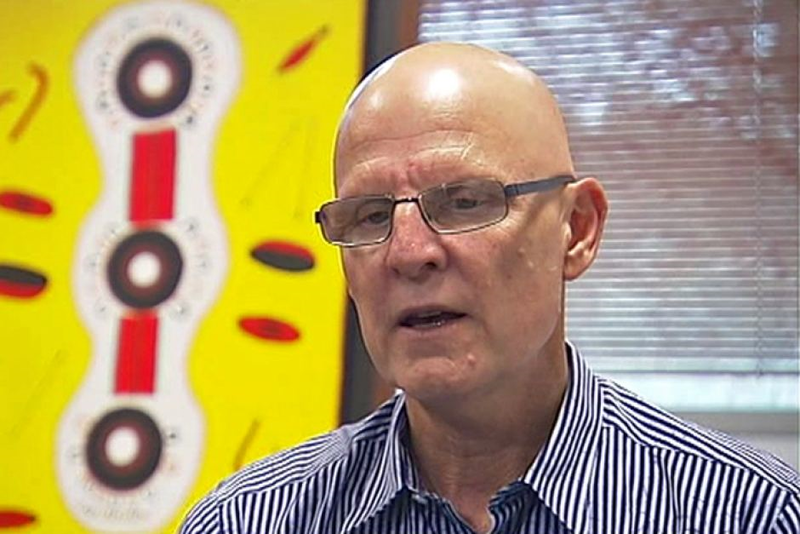 Pat Turner has been appointed for a further three years until July 2020 by the National Aboriginal Community Controlled Health Organisation (NACCHO) Board. 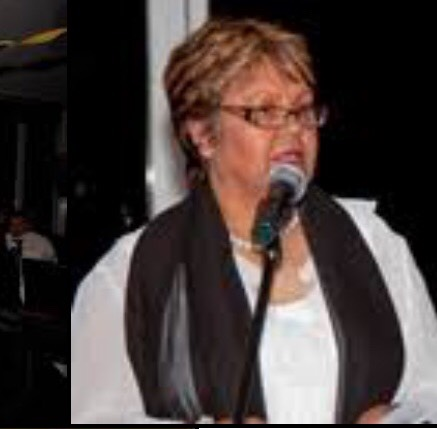 NACCHO Deputy Chairperson, Sandy Davis welcomed Ms Turner’s appointment highlighting her extensive life experiences in Aboriginal affairs, government, academia and corporate practice. Sandy also ‘acknowledged her invaluable record of public service achievements and that her leadership style comes at an important time for NACCHO with new governance arrangements to be discussed with members’ at our Annual General Meeting in Canberra in November. 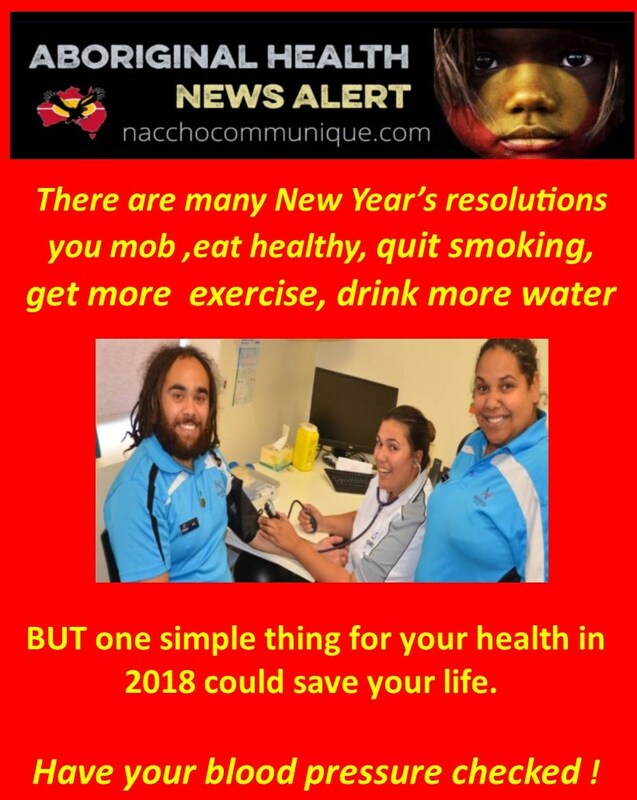 Pat will help create real, meaningful and lasting change for NACCHO that will strengthen community control and keep Aboriginal health in Aboriginal hands’ he said. 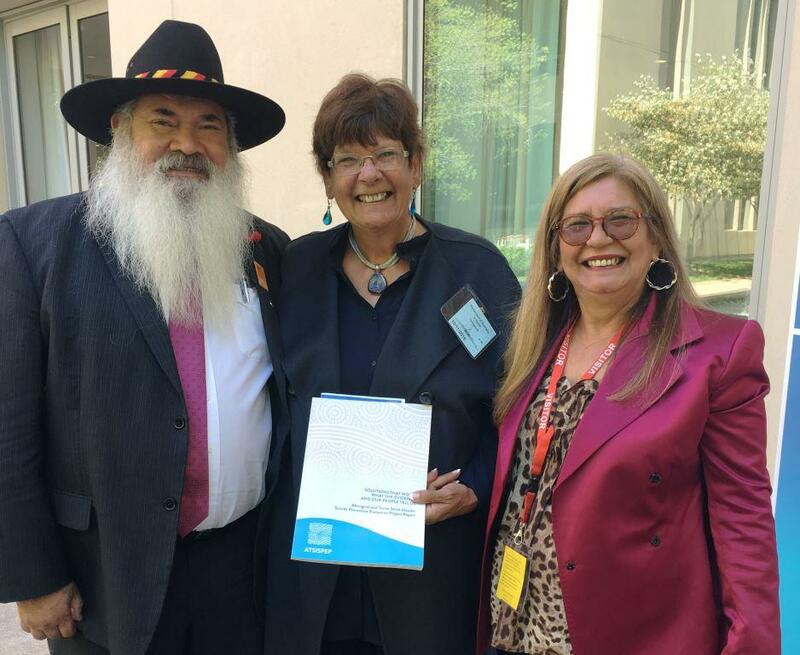 Pat has been delivering on the Board’s agenda to consult with members to update our NACCHO Constitution and she has spent the last few months criss-crossing Australia to obtain the views and opinions of our Members and Affiliates about NACCHO constitutional changes. 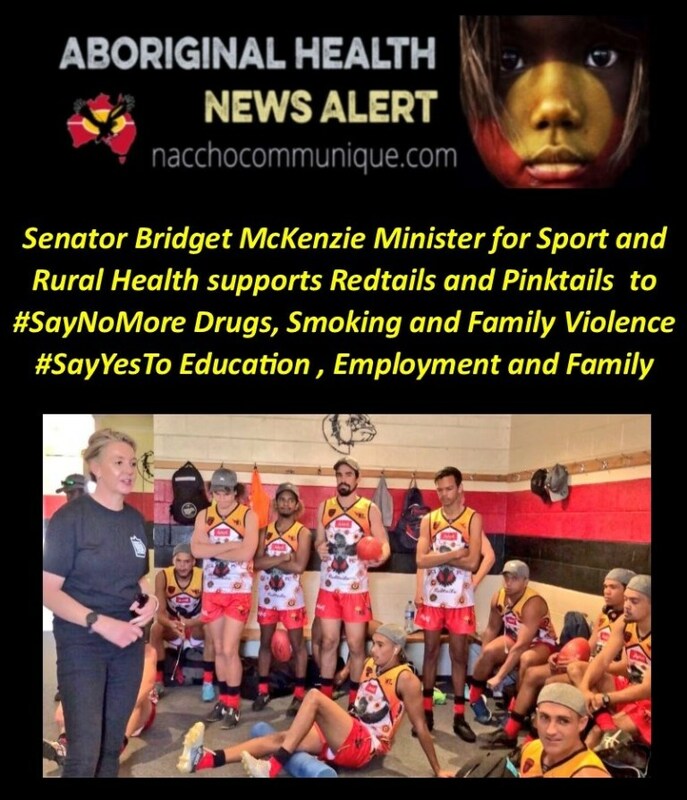 She will continue to work on strengthening and expanding the Aboriginal Community Controlled Health Sector, maintaining its strategic directions, cutting unnecessary red tape and building a closer relationship between all our organisations. ‘We want to build on the success of community control in improving health outcomes for our people’ she said. 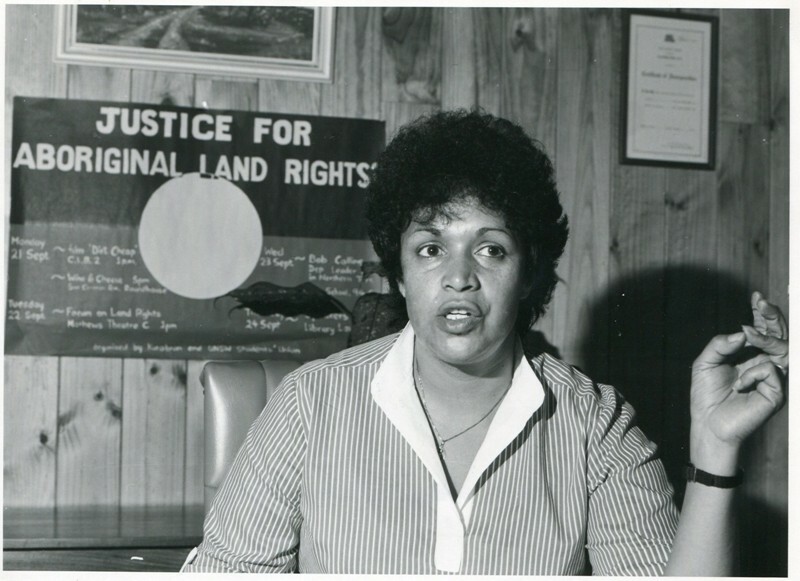 Pat is of Arrernte and Gurdanji descent and was awarded the Order of Australia (AM) in 1990 for her contribution to public service. This is an opportunity to show case grass roots best practice at the Aboriginal Community Controlled service delivery level. 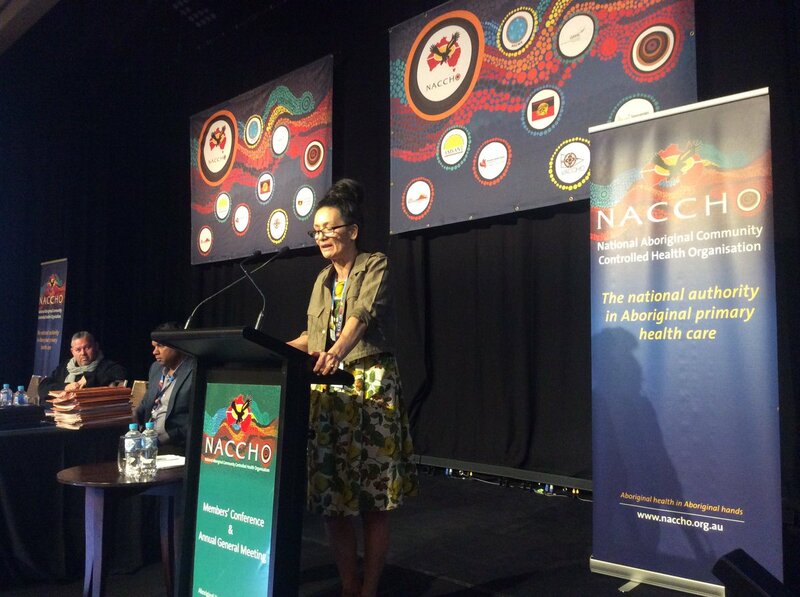 In doing so honouring the theme of this year’s NACCHO Members’ Conference ‘Our Health Counts: Yesterday, Today and Tomorrow’. 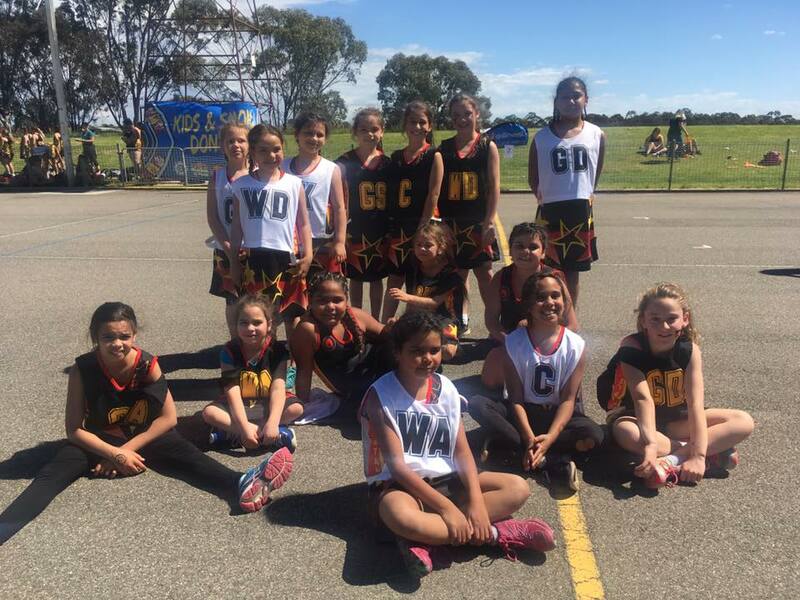 Photos above : Introducing the Fitzroy Stars Junior Netball Carnival Teams! 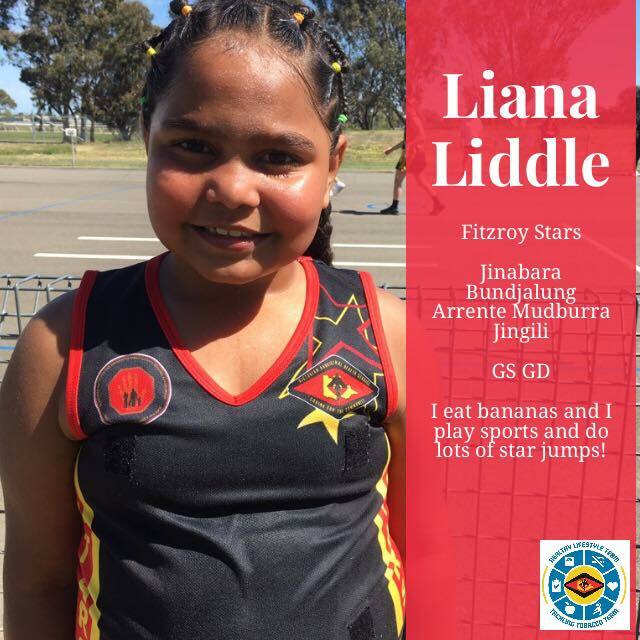 The VAHS Healthy Lifestyle Team love supporting our Fitzroy Stars Football/Netball Club netballers. These girls and boys are representing the Healthy Lifestyle Values and doing us proud today! Well done everyone on being deadly team players and making healthy choices! Illawarra Shoalhaven Local Health District (ISLHD) has joined local Aboriginal Community Controlled Health Services, the Primary Health Network and the University of Wollongong in committing to work together to bring about positive changes to Close the Gap on health inequalities for our Aboriginal communities. A partnership agreement was formally signed on Friday by leaders of the South Coast Aboriginal Medical Service; Oolong House – Drug and Alcohol Rehabilitation Centre; Illawarra Aboriginal Medical Service; Waminda South Coast Women’s Health and Welfare Aboriginal Corporation; University of Wollongong; COORDINARE – South Eastern NSW Primary Health Network; and Illawarra Shoalhaven Local Health District. and a stirring welcome to country by Uncle Tom Moore preceded the official signing of the agreement. ISLHD Chief Executive Margot Mains said the agreement aims to support, promote and strengthen the existing local relationships and strong ties that have been developed over many years. 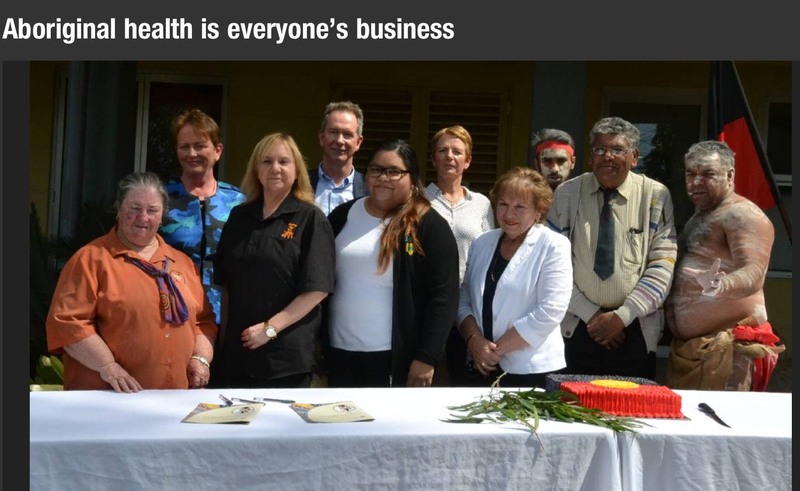 “The signing of the partnership agreement marks a new beginning for our journey in working collaboratively to close the health and life expectancy gap between Aboriginal people and non-Aboriginal Australians,” Ms Mains said. Losing his nephew to the same preventable disease that afflicts so many Aboriginal Australians galvanised Ken Wyatt to make indigenous men’s health a “top priority” of his political agenda. The Federal Indigenous Health Minister says his nephew was a promising musician but died in June, aged just 35, after a battle with diabetes and chronic renal and heart disease. “One of Jason’s killers was kidney failure, the same devastating condition that claimed the life of beloved musician, Dr G Yunipingu,” Mr Wyatt told a national men’s health conference in Darwin. 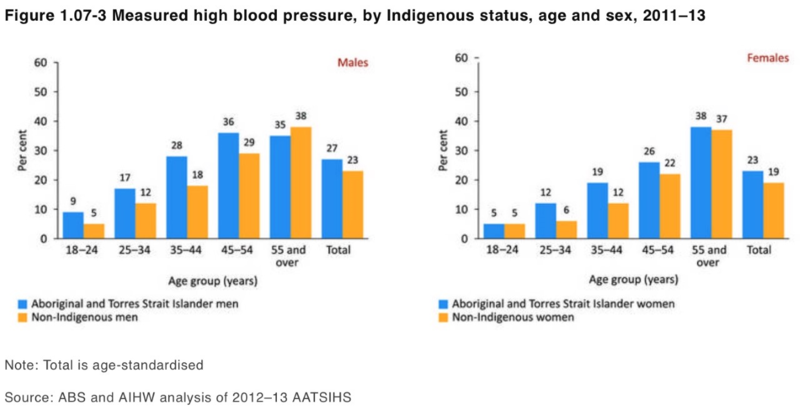 Aboriginal men have the poorest health of any group within the Australian population, which Mr Wyatt says is “nothing short of a national tragedy”. They suffer kidney health problems at five times the rate of their non-indigenous counterparts, and are dying more than 10 years younger. 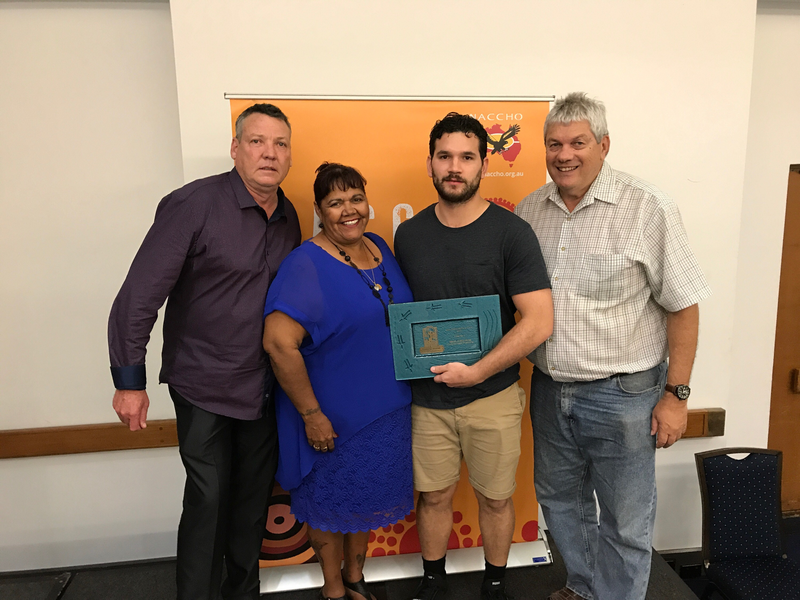 He’s just graduated this year from his studies as an Indigenous health practitioner and in between playing local Aussie rules and Rugby league, he worked tirelessly with Danila Dilba health service and has recently been appointed manager of the new Malak clinic. The draft report is scheduled to be released in early October 2017. We are seeking your comments and views on the draft report, and will be undertaking further consultation during October and early November. Further consultations will be scheduled in the coming weeks at Mt Isa, Mornington Island, and Thursday Island – details will be published on the QPC website as they become available. Consultations will include round tables in Cairns, Mt Isa, Thursday Island and Brisbane. Please register your interest to attend a consultation or round table here. On Wednesday the 13th of September 2017, NACCHO facilitated a mental health webinar in conjunction with the Mental Health Professionals Network as part of its professional development work. 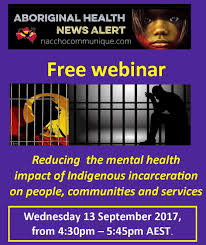 This mental health webinar focused on reducing the mental health impacts of indigenous incarceration on people, communities and services. The discussion was conducted by an Indigenous interdisciplinary panel (see below for further details). A post-discussion Q&A was also conducted between the panel and guests, recordings of which can be accessed below. Facilitator: Dr Mary Emeleus (General Practitioner and Psychotherapist). The project, organised by Puntukurnu Aboriginal Medical Service’s Tackling Indigenous Smoking team, will be carried out with funding from a Healthway Indigenous Health Promotion grant and the Federal Government’s Tackling Indigenous Smoking Program. 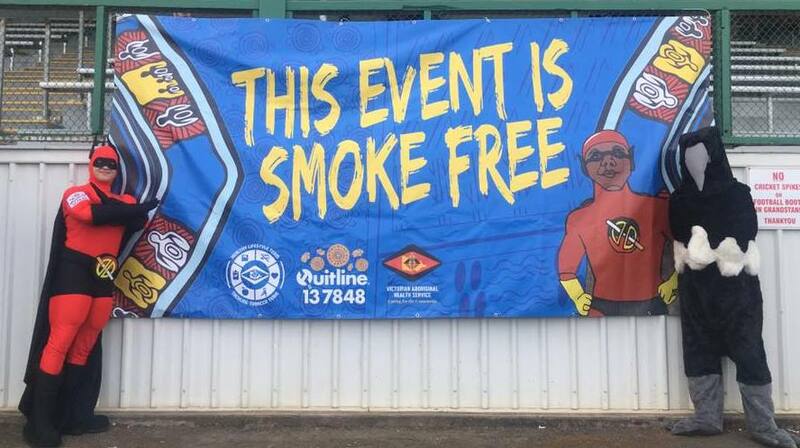 Puntukurnu Aboriginal Medical Service regional tobacco coordinator Danika Tager said smoking rates in the East Pilbara were exceptionally high and more needed to be done to support communities to address tobacco addiction. Filmmakers will work with youth in four remote Aboriginal communities in the East Pilbara to shed light on the personal stories of local smokers and warn about the perils of the deadly habit. Young people, assisted by a professional production team, will create a series of short films as part of the “you CAN quit” project, to document the stories of community members who have successfully kicked the habit and those who have been affected by smoking-related illnesses in Jigalong, Parnngurr, Punmu and Kunawarritji. Statistics from the Federal Department of Health show that tobacco smoking is responsible for one in five Aboriginal and Torres Strait Islander deaths, with the number substantially higher in remote areas. “Smoking rates in remote East Pilbara communities are as high as 80% and tobacco use is the single most preventable cause of death and disease in this population,” Ms Tager said. Filming of the four short films will start September 19. 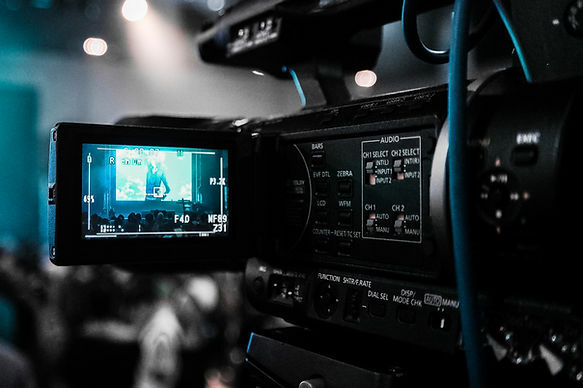 It is expected the films will be screened in each community on completion and also be aired on indigenous television stations and social media. Ms Tager said the project was unique in that the films would be entirely community owned and directed, giving young people the opportunity to actively make a difference in their community. “Youth will be responsible for all aspects of researching, shooting, editing and promoting the films” she said. “All too often NGOs will come into a community with a health message that may or may not be relevant, and expect it to change people’s behaviour,” she said. The project will also involve a series of posters to celebrate non-smokers in the communities, and offer education sessions and details about the availability of support programs. The Puntukurnu Aboriginal Medical Service (PAMS) is a community controlled health organisation that provides primary health care, 24-hour emergency services and preventative health and education programs in the communities of Jigalong, Parnngurr, Punmu and Kunawarritji. Please join us at piyura kitina (Risdon Cove) on Thursday, 12th October at 1.30pm, to celebrate our communities journey of breast cancer & raise awareness of this disease. 6234 0777 or Freecall 1800 132 260 if you require transport. The South Australian Aboriginal Chronic Disease Consortium (the Consortium) was launched on 18 May 2017, as a collaborative partnership formed between the South Australian Aboriginal Health Partnership (comprising of SA Health, Aboriginal Health Council of SA and Department of Health – Commonwealth) and the South Australian Academic Health Science and Translation Centre.The Translation Centre represents a partnership between SA Health, South Australian Health and Medical Research Institute (SAHMRI), University of Adelaide, Flinders University, University of South Australia, Aboriginal Health Council of South Australia, Health Consumers Alliance of South Australia, Adelaide Primary Health Network, Country SA Primary Health Network and Cancer Council SA. The Translation Centre has 9 priority areas of which one is Aboriginal Health. 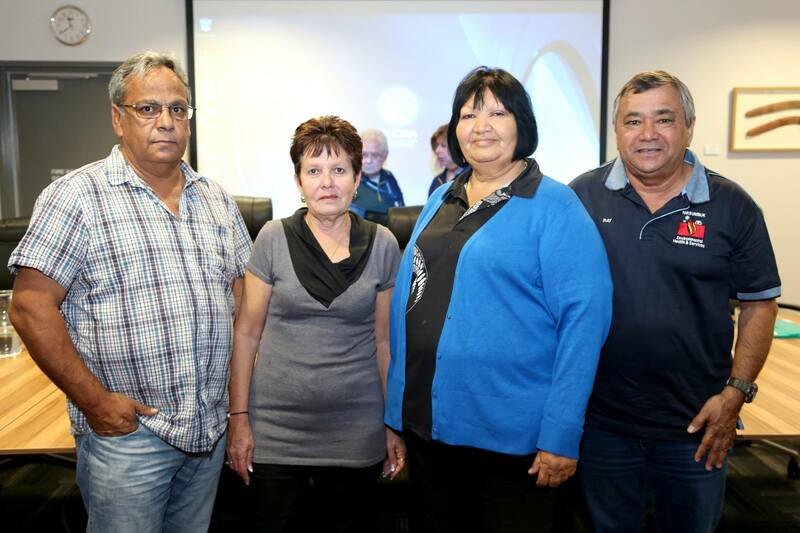 The responsibility to oversee the implementation activity of the SA Aboriginal Chronic Disease Consortium rests within its governance structures. The Consortium has 5 active working groups including an Executive Group, an Aboriginal Community Reference Group and three condition-specific leadership groups representing Diabetes, Cancer and Heart and Stroke. We refer to the people and organisations on these groups as our members. Who is working in the Consortium Coordinating Centre? The team comprises of two full time staff. Wendy Keech is the Senior Research Translation Manager and Executive Officer. Wendy is supported by Douglas VJ Clinch, in a Project Officer role overseeing and supporting the various governance groups of the Consortium. Strategic policy and cultural advice and support is being provided by Kim Morey and Neville Fazulla both on a part-time basis to the team, and have particular focus on supporting the community reference group. Andrea McKivett, has been providing her clinical, technical and cultural support to the team since the inception of the Consortium, with Katharine McBride recently joining the team to provide technical support one day a week. 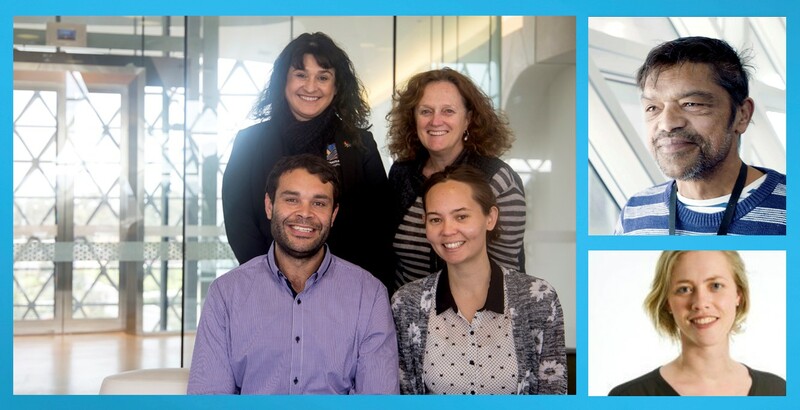 The team come from various backgrounds and disciplines required to support the work of the Consortium, and all are passionate people with a strong commitment to making a difference to the health and wellbeing of Aboriginal people in South Australia. If you would like any further information please don’t hesitate to contact Wendy Keech, on (08) 81284228, email: wendy.keech@sahmri.com or Doug VJ Clinch, on (08) 81284893 or email: douglas.clinch@sahmri.com. 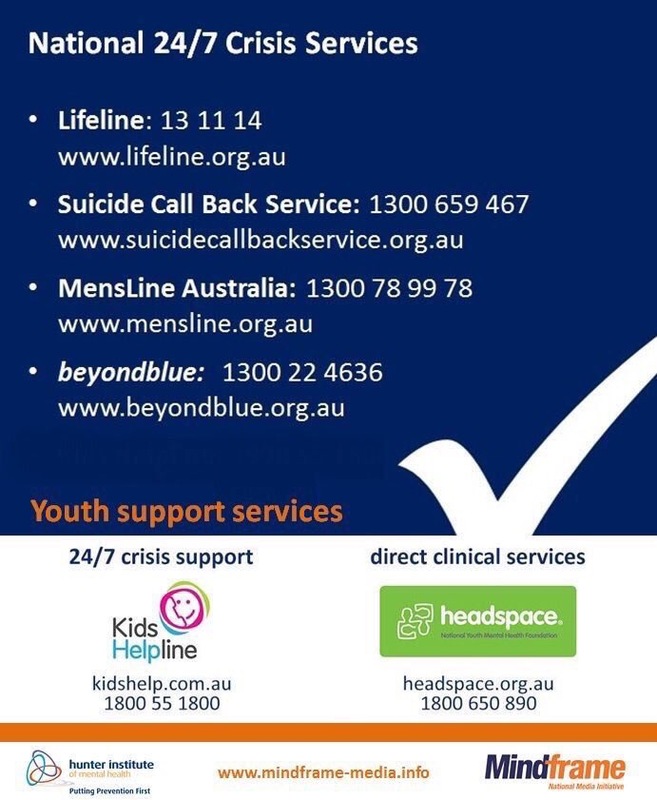 ” It is critical that responses to support a young person’s mental health be culturally sensitive and gender sensitive and that they address the structural issues that contribute to higher levels of psychological distress for young females and for Aboriginal and Torres Strait Islander young people. For example, we know that Aboriginal and Torres Strait Islander people continue to be adversely affected by racism, disconnection from culture, and the long history of dispossession. All of these factors contribute to poor mental health, substance misuse and higher suicide rates. 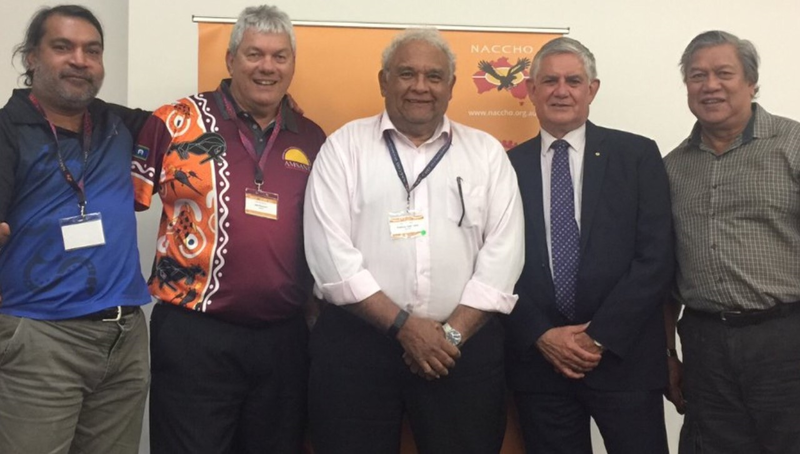 NACCHO and Mental Health Australia CEO Frank Quinlan have welcomed the release of the Draft Fifth National Mental Health Plan and is encouraging all ACCHO stakeholders to engage with the plan during the upcoming consultation period. Poor mental health in Aboriginal communities often stems from historic dispossession, racism and a poor sense of connection to self and community. It is compounded by people’s lack of access to meaningful and ongoing education and employment. Drug and alcohol related conditions are also commonly identified in persons with poor mental health. 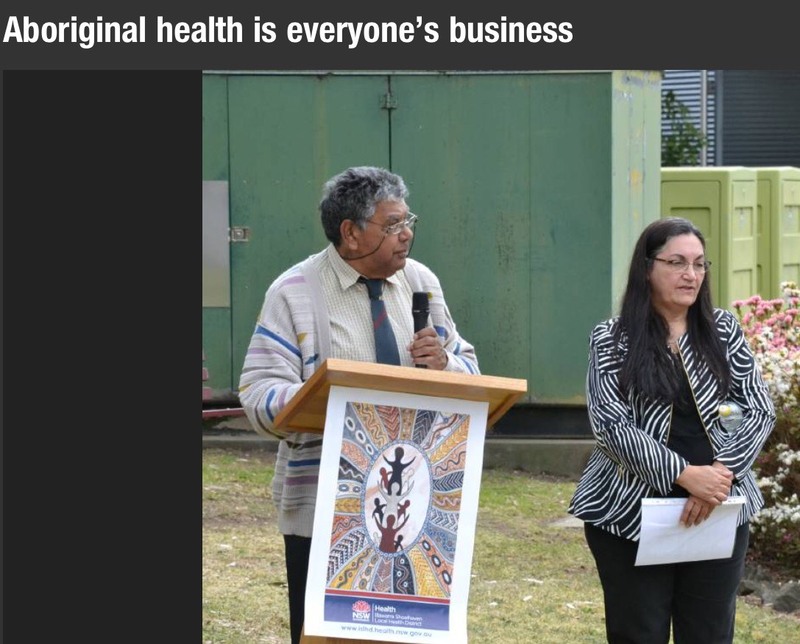 While there was no quick fix for the crisis, an integrated strategy led by Aboriginal community controlled health services is a good starting point. 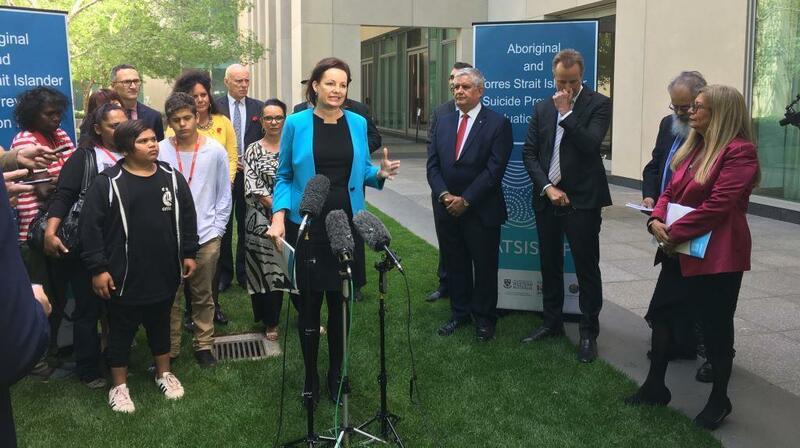 The National Mental Health Commission Review recommended the establishment of mental health and social and emotional wellbeing teams in Aboriginal Community Controlled Health Services, linked to Aboriginal and Torres Strait Islander specialist mental health services. 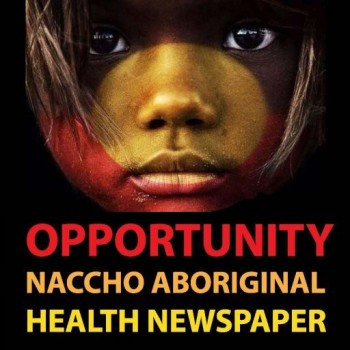 What we do know is the solution must be driven by Aboriginal leaders and communities – a model that is reaping great rewards in the Aboriginal Community Controlled health sector. Prof Pat Dudgeon and Tom Calma chair the ATSI Mental Health and Suicide Prevention Advisory Group to the Commonwealth and Pat Chairs NATSIMHL, the group who created the Gayaa Dhuwi. 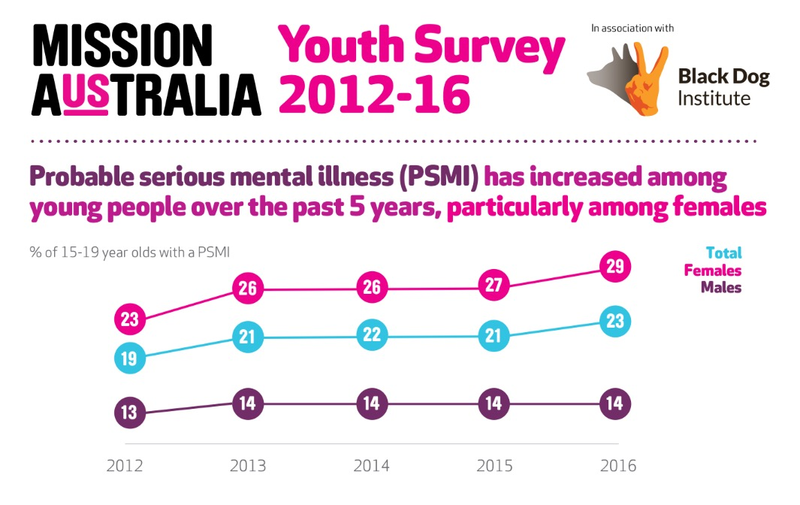 Last week Mission Australia released its joint Five-Year Youth Mental Health Report with Black Dog Institute, sharing the insights gathered about the mental health of Australia’s young people during the years 2012 to 2016. Learning what young people think is so important to the work we do at Mission Australia. By checking in with them we discover their thoughts about their lives and their futures, and what concerns them most. 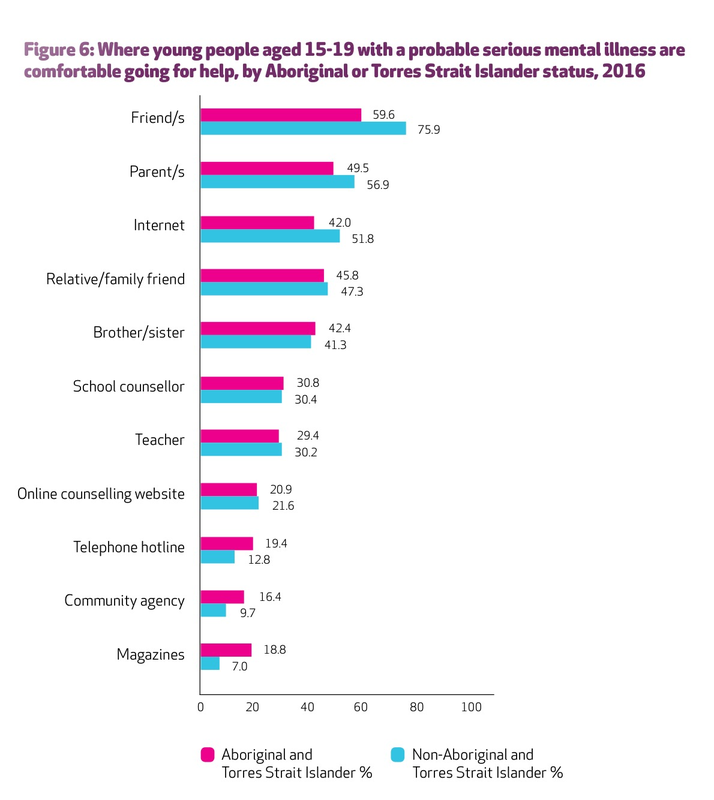 The Five Year Mental Health Youth Report presents the findings of the past five years on the rates of psychological distress experienced by young Australians, aged 15-19. Almost one in four young people met the criteria for having a probable serious mental illness – a significant increase over the past five years (rising from 18.7% in 2012 to 22.8% in 2016). Across the five years, females were twice as likely as males to meet the criteria for having a probable serious mental illness. The increase has been much more marked among females (from 22.5% in 2012 to 28.6% in 2016, compared to a rise from 12.7% to 14.1% for males). Young people with a probable serious mental illness reported they would go to friends, parents and the internet as their top three sources of help. This is compared to friends, parents and relatives/family friends for those without a probable serious mental illness. 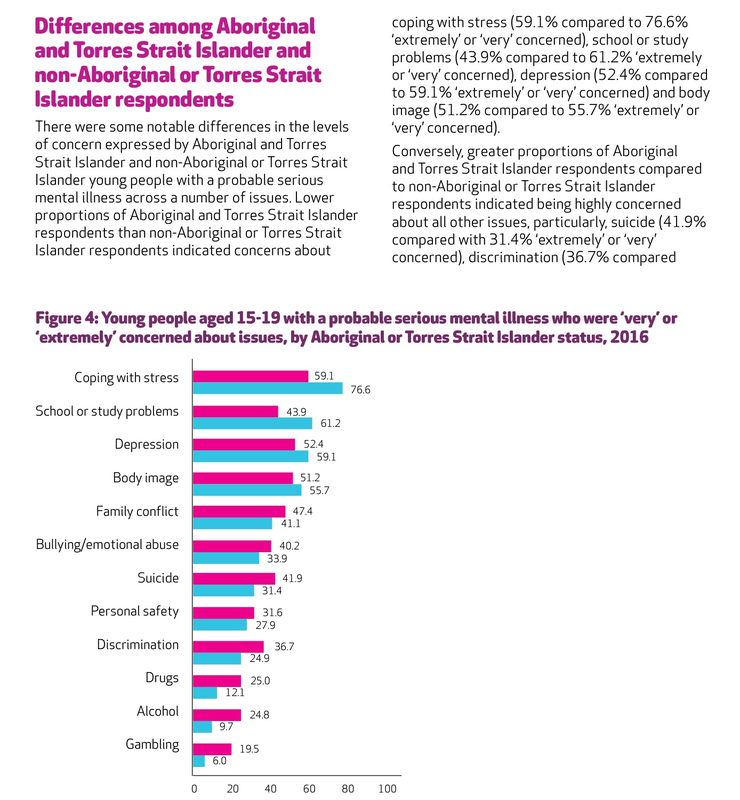 In 2016, over three in ten (31.6%) of Aboriginal and Torres Strait Islander respondents met the criteria for probable serious mental illness, compared to 22.2% for non-Indigenous youth. In light of these findings, Catherine Yeomans, Mission Australia’s CEO said: “Adolescence comes with its own set of challenges for young people. But we are talking about an alarming number of young people facing serious mental illness; often in silence and without accessing the help they need. The effects of mental illness at such a young age can be debilitating and incredibly harmful to an individual’s quality of life, academic achievement, and social participation both in the short term and long term. Ms Yeomans said she was concerned that the mental health of the younger generation may continue to deteriorate without extra support and resources, including investment in more universal, evidence-based mental health programs in schools and greater community acceptance. Given these concerning findings, I urge governments to consider how they can make a major investment in supporting youth mental health to reduce these alarming figures, Ms Yeomans said. The top issues of concern for those with a probable serious mental illness were: coping with stress; school and study problems; and depression. There was also a notably high level of concern about other issues including family conflict, suicide and bullying/emotional abuse. The report’s finding that young people with mental illness are turning to the internet as a source of help with important issues also points to prevailing stigma, according to Black Dog Institute Director, Professor Helen Christensen. “This report shows that young people who need help are seeking it reluctantly, with a fear of being judged continuing to inhibit help-seeking,” said Professor Christensen. “Yet evidence-based prevention and early intervention programs are vital in reducing the risk of an adolescent developing a serious and debilitating mental illness in their lifetime. We need to take urgent action to turn this rising tide of mental illness. “We know that young people are turning to the internet for answers and our research at Black Dog Institute clearly indicates that self-guided, online psychological therapy can be effective in reducing symptoms of depression and anxiety. Armed with this information we are able to advocate on their behalf for the support services they need, and for the broader policy changes. The Five-Year Youth Mental Health Report shows some alarming results with almost one in four young people meeting the criteria for a probable serious mental illness (PSMI). That figure has gone up from 18.7 per cent in 2012 to 22.8 per cent in 2016. Girls were twice as likely as boys to meet the criteria for having a PSMI, and this figure rose from 22.5% in 2012 to 28.6% in 2016, compared to a rise from 12.7% to 14.1% for boys. 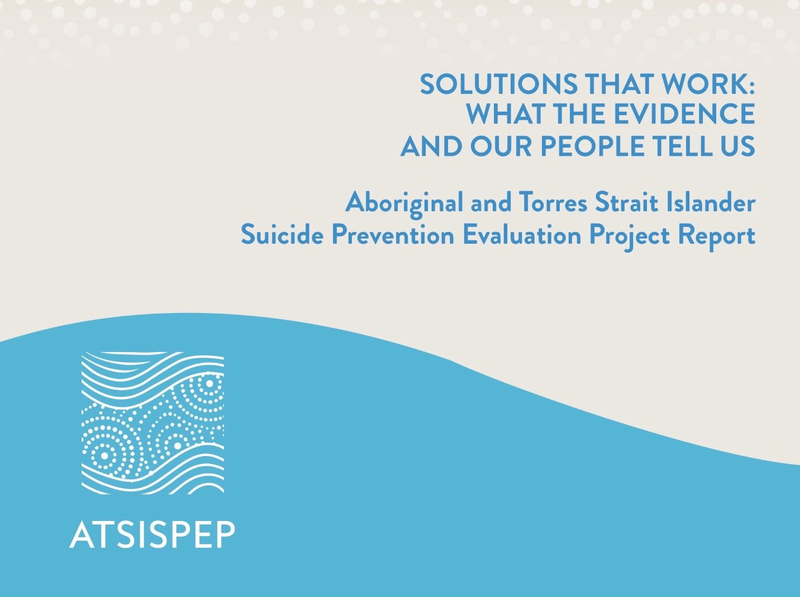 An even higher number of Aboriginal and Torres Strait Islander respondents met the criteria for having a probable serious mental illness (PSMI ) at 31%. These results make it clear that mental illness is one of the most pressing issues in our communities, especially for young people, and one that has to be tackled by the governments, health services, schools and families. Three quarters of all lifetime mental health disorders emerge by the age of 24, but access to mental health services for this age group is among the poorest, with the biggest barriers being community awareness, access and acceptability of services. What we need is greater investment in mental health services that are tailored to the concerns and help seeking strategies of young people and are part of a holistic wrap around approach to their diverse needs. For young women, we know that a large proportion (64%) were extremely or very concerned about body image compared to a far smaller number of males (34.8%). Such a finding suggests that social pressures such as discrimination based on ideals of appearance may need to be addressed to tackle this gender disparity in the levels of probable serious mental illness among girls. And although girls are more likely to be affected negatively by body image issues, they are more likely to seek help when they need it than boys. Clearly then, and for a variety of reasons, an awareness of gendered differences is a crucial component in the management of mental health issues. We need to ensure that all young people, whether they live in urban areas or regional, have the resources they need to manage mental health difficulties, whether it is for themselves or for their peers. Parents, schools and community all play a vital role and we must fully equip them with the evidence-based knowledge and skills to provide effective support to young people. ” Little J, he’s five and Big Cuz, she’s nine. They’re a couple of Indigenous Australian kids living with their Nanna and Old Dog. Little J and Big Cuz are busy with the ups and downs of playground and classroom. There’s always something surprising going on whether it’s at school, in the backyard… or beyond. The gaps in Nanna’s ramshackle fence lead to Saltwater, Desert and Freshwater Country. 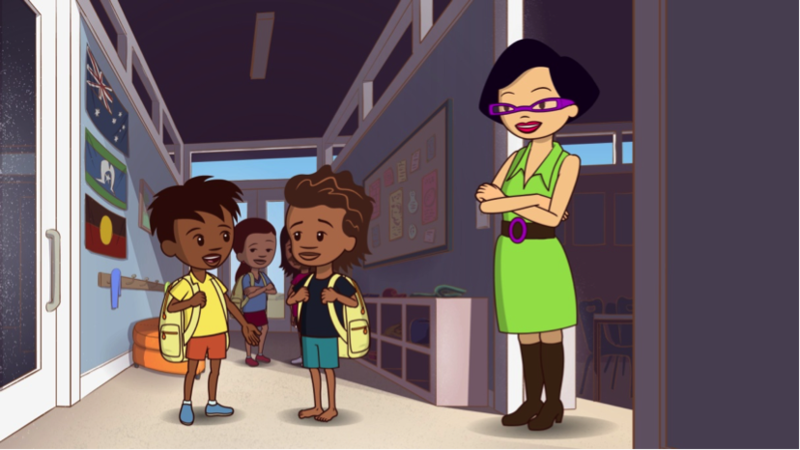 The first episode of Little J & Big Cuz, the ground-breaking new animated television series aimed at supporting a successful transition from home to school for Indigenous children, is set to premiere on NITV at 7.30pm AEST on Friday 28 April.As previously reported, the series follows lead characters Little J (voiced by Miranda Tapsell) and Big Cuz (Deborah Mailman) as they explore their world and discover more about their culture and the great things that school has to offer. 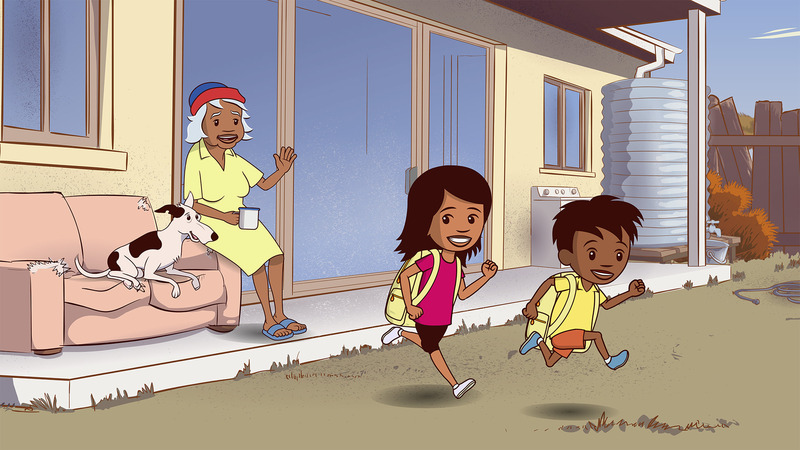 To coincide with the series broadcast, a new Little J & Big Cuz website will also be launched, containing games for children, supporting resources for families and educational resources for teachers.For further updates about Little J & Big Cuz please visit www.littlejandbigcuz.com.au and join the mailing list.These educational resources have been developed by ACER with Indigenous Education Consultants Dr Sue Atkinson, Jess Holland, Elizabeth Jackson-Barrett, Priscilla Reid-Loynes and Alison Wunungmurra, along with former ACARA Senior Education Officer Deborah Cohen and with support from Dr Mayrah Driese in the role of critical friend. 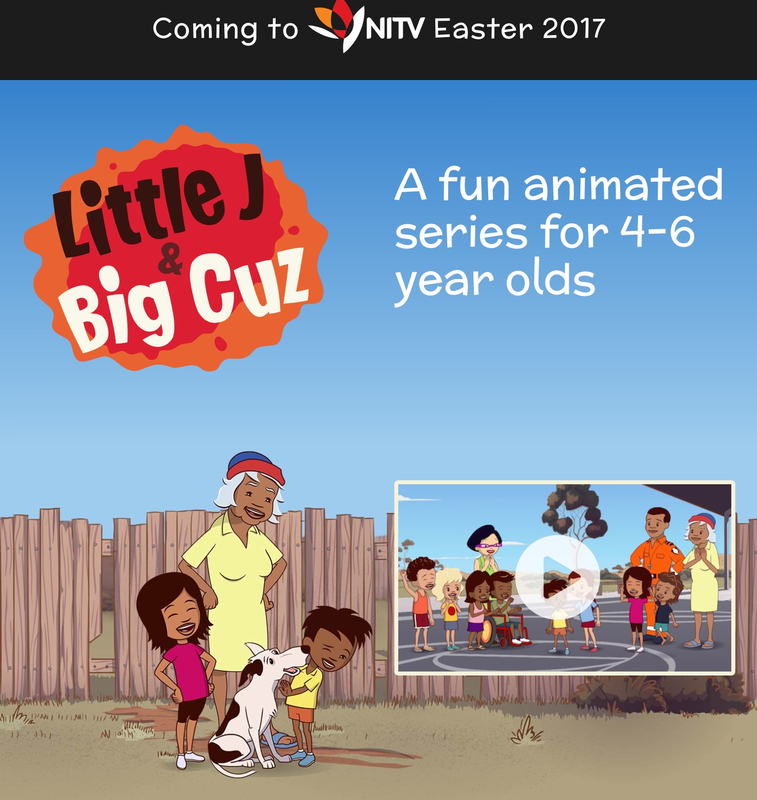 Little J and Big Cuz; a 13 x 13 minute animated series ( see each episode below ) follows the adventures of five-year-old Little J and his older cousin Big Cuz, who live with their Nanna and whose outback life and adventures at home and school form the basis of each episode. The series was previewed in the Northern Territory 2016 when SBS showcased the series to delegates at the Remote Indigenous Media Festival at Yirrkala in North East Arnhem Land. Little J and Big Cuz is in production for NITV by Ned Lander Media. The ACTF will distribute the series, with production investment from ACER, Screen Australia, Film Victoria and Screen Tasmania. Much of the story telling will be visual or carried by the narrator, making it easier to re-voice the show into multiple Indigenous languages. The intention is that community members will be engaged and funded to re-voice the series. The production will assist in setting up this process. It is also intended that children whose first language is not English will watch it in both English and their own language at home and school. Little J’s new undies have special powers – so how can he play basketball without them? Big Cuz tricks Little J into believing that the Giant Wombat is not extinct. On their quest to the beach, Little J, Nanna and Big Cuz struggle to find what they need before sunset. Little J gets confused hunting bush tucker when he follows his own tracks. When the “big kids” won’t play with him, Little J creates a tantalizing adventure – in the back yard. When B Boy comes to stay, Little J is miffed – until they work together caring for an injured baby kangaroo. Episode 8 – Where’s Aaron? Aaron the class mascot is missing…and Little J fears he’s lost in the desert. Little J is convinced there’s a real live monster in the backyard. Little J knows there’s something that scares him but he’s even more scared of being found out. Big Cuz and Little J must put aside their differences to outwit a territorial magpie. Fascinated by an owl in the backyard, Little J turns nocturnal with disastrous results. The School Readiness Initiative includes a television series that has been developed and is now being realised by experienced producer Ned Lander, with partners NITV, Screen Australia, Film Victoria, Screen Tasmania, ACER and the Australian Children’s Television Foundation. The TV show is a fun, animated series constructed as a narrative. The educational foundations are implicit rather than explicit – school is simply a part of life. Episodes depict school life and include activities that occur in this space, such as show-and-tell, lunchtime, school performances and so on. Children viewing the show will follow lead character, Little J, on his adventures as he comes to understand and enjoy the sometimes unfamiliar environment that can be school, and the greater world around him. The animated nature of the series allows re-voicing in Indigenous languages. A small number of major languages will be re-voiced in the first year with further language versions produced in association with the communities interested in doing this. In addition, ACER is working with Indigenous Education consultant Priscilla Reid-Loynes to develop innovative educator resources to support the series. 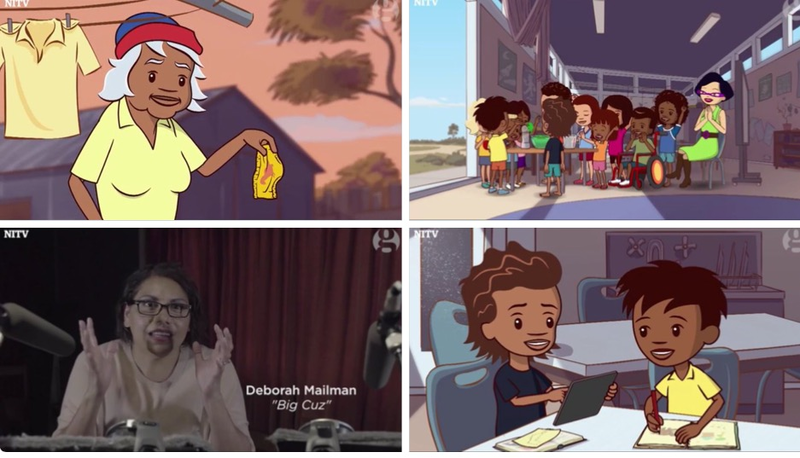 The materials being developed integrate with the series around episode themes and stories, and can be used by educators within and outside of the classroom. These resources will be tailored to work within preschools and schools and will have a foundation in the Early Years Learning Framework and the National Curriculum. Being school ready includes the development of foundational literacy and numeracy skills, engagement in learning, and positive attitudes towards education and school. Of equal importance for students and their families is an understanding of how school works, what is expected of them and what they should expect from school. The initiative is not just focussed on the child being ready for school, but the school also being ready for the child. ‘Ready schools’ value the skills that Indigenous children bring, they acknowledge families as the first teachers and recognise the role that families and communities play in supporting lifelong development. The Dusseldorp Forum is providing support for the important task of evaluating the impact of the initiative for children, communities and schools. 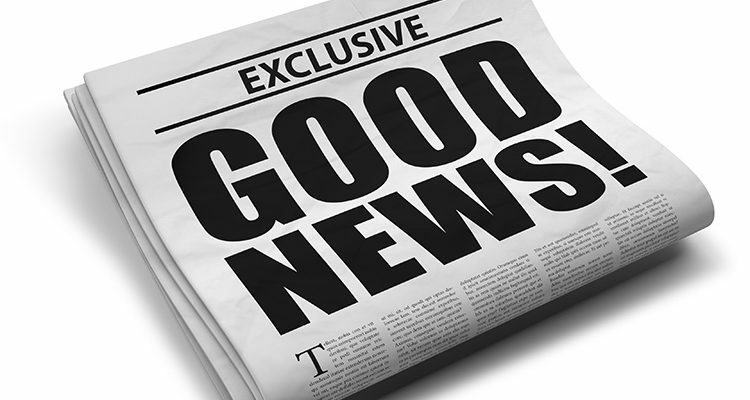 Results from the evaluation will assist in developing future series and will help to tailor resources in order to maximise the overall effectiveness of the initiative. A new television series seeks to support the successful transition from home to school for Indigenous children and their families. Tony Dreise (pronounced ‘drice’) descends from the Guumilroi people of north-west New South Wales and south-west Queensland. He was a Principal Research Fellow and Hub Leader for Indigenous Education at the Australian Council for Educational Research (ACER). Tony holds a Bachelor of Teaching degree and a Masters of Public Administration with the Australia and New Zealand School of Government. He is undertaking his PhD at ANU, where he is exploring the relationship between Australian philanthropy and Indigenous education. He has over 20 years professional experience in public policy, research, education, and Indigenous affairs. Recently I co-authored a paper on Indigenous school attendance. In our paper, we found that school attendance among Indigenous children and young people has been improving over recent decades and years. There is still a way to go – latest data indicate a 10 per cent attendance gap between Indigenous and non-Indigenous students. In some parts of Australia, it is much larger at near 30 per cent. We found that regular school attendance is particularly challenging for Indigenous students in remote areas and in secondary schooling. Educational research throughout the world points to the importance of school cultures that are driven by ‘high expectations’ of teachers and students alike. Within these school cultures, principals are leading, teachers are teaching smart and students are working hard. Our paper also contends that the relationship between education and wellbeing is akin to a ‘catch 22’ dilemma. That is, we know that education is key to turning around current levels of Indigenous socioeconomic disadvantage. In other words, education is an investment not a cost. In a paper called Education and Indigenous Wellbeing (Australian Bureau of Statistics, 2011), the ABS presents a compelling relationship between education and social wellbeing among Aboriginal and Torres Strait Islander people. In addition to improving employment prospects, ABS data show that Indigenous people with education qualifications are more likely to own a home or be paying off a mortgage, less likely to live in overcrowded housing, less likely to be arrested, less likely to smoke or misuse alcohol, and more likely to enjoy greater overall wellbeing. We also know that the current state of poverty and dysfunction that communities find themselves in adversely impacts on young people’s academic growth. Children find it hard to learn on empty stomachs for example. Teenagers will find it difficult to attend school if they’re being bullied at school because of their race. Hence the ‘catch 22’ dilemma. So how do we turn around rates of school attendance in locations where it is poor? And more specifically, what can teachers do? In fashioning responses to current educational inequities, school systems and policymakers tend to favour ‘supply’ side levers such as spending more on professional development among teachers, or employing more Indigenous education assistants, or allocating more to information technology. These are all important, but we cannot afford to overlook the equally important job of attending to the demand side of the education. That is, investing in communities to foster a love of lifelong learning and demand for quality teaching and learner responsiveness. It also means that teachers and schools are delivering quality teaching through culturally-customised, learner-centred and strengths-based approaches. It also means fostering bonds and affinity between teachers and students. Relationships of trust are of paramount importance. 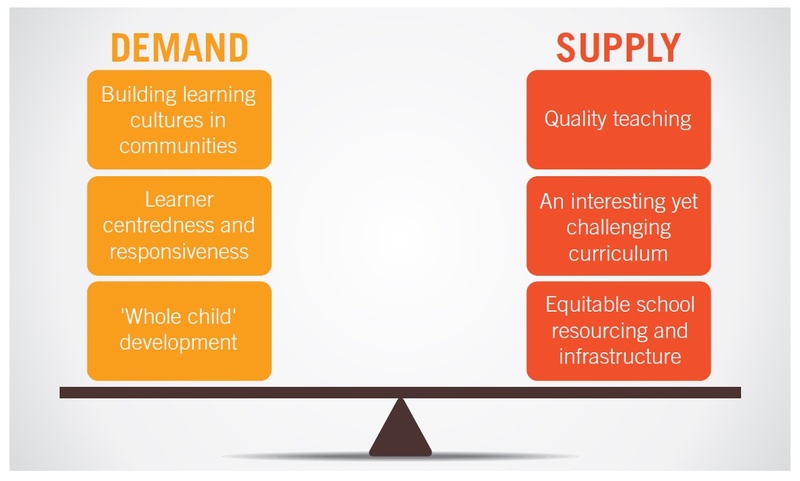 You will also note the reference to ‘whole child development’ in the model. By this we mean that children need to grow not only academically but emotionally, socially, physiologically, and culturally. Strong relationships between schools, families, and community agencies (in health, children’s services, etc.) are therefore critically important. In order for children to learn, they need to be safe, nourished, stimulated, engaged, and ideally confident. Teachers can do a number of practical things to meet the needs of the ‘whole child’. One is the delivery of a full and rich curriculum, whereby learners are engaging in literacy and numeracy, bi-cultural and social growth, music, arts, science, and physical education. Where the purpose and objectives of lessons are clearly understood by learners, and the methods of teaching are energetic and diverse – from teacher-led, to peer-led, to project-driven, to ICT-based, and community- (excursion) based; depending upon what needs to be learnt. Second, creating school cultures whereby Indigenous cultures and peoples are respected, by consistently engaging the families of learners, not just during NAIDOC week. Where teachers and school leaders are fostering genuine interest in the child’s life, be it their sporting life, their cultural life, their social and family life. Third, by searching and building upon learners’ strengths. Fourth, by adopting ‘growth mindsets’, so that teaching is constantly oriented toward personal improvement, daily, weekly, yearly – which means assessing for growth that goes beyond mere ‘pass/fail’ thinking. Teachers can also work with their school and community leaders in bringing about initiatives that actively tackle forces that stymie student flourishing. The little things can make a big difference. For example, Brekkie Clubs can literally provide food for thought. Storing spare stationery and school uniforms in a cupboard can help overcome a sense of shame among students whose family circumstances may be rocky. School leaders and teachers can foster a culture of ‘school matters’ by data collecting, rewarding regular attendance and building bridges between homes and school. Schools can also think of themselves as ‘hubs’ for child development and growth, by integrating children’s academic growth with their health, wellbeing and safety by working with government and community non-government agencies. 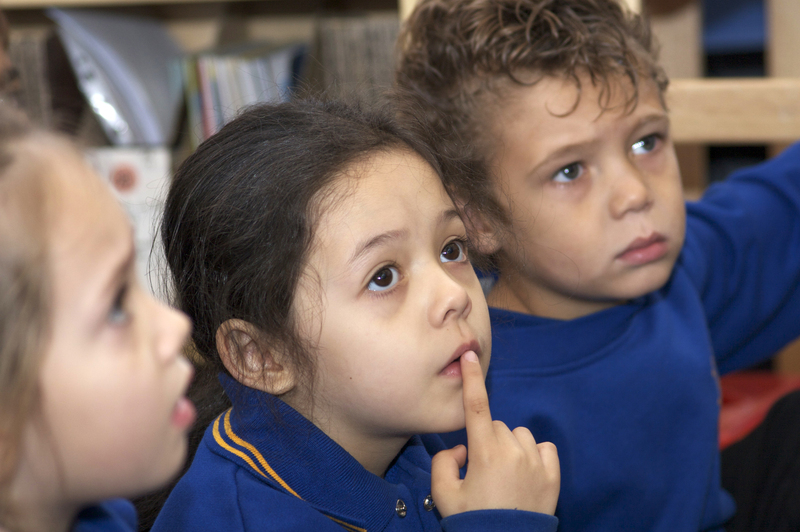 Finally, school and community leaders can work together to ensure that Indigenous learners gain access to the services that they require, be it speech pathology, psychological counselling, literacy and numeracy coaching, or culturally affirming student support services. To read the full Policy Insights paper – Indigenous school attendance: Creating expectations that are ‘really high’ and ‘highly real’ – by Tony Dreise, Gina Milgate, Bill Perrett and Troy Meston, click on the link. 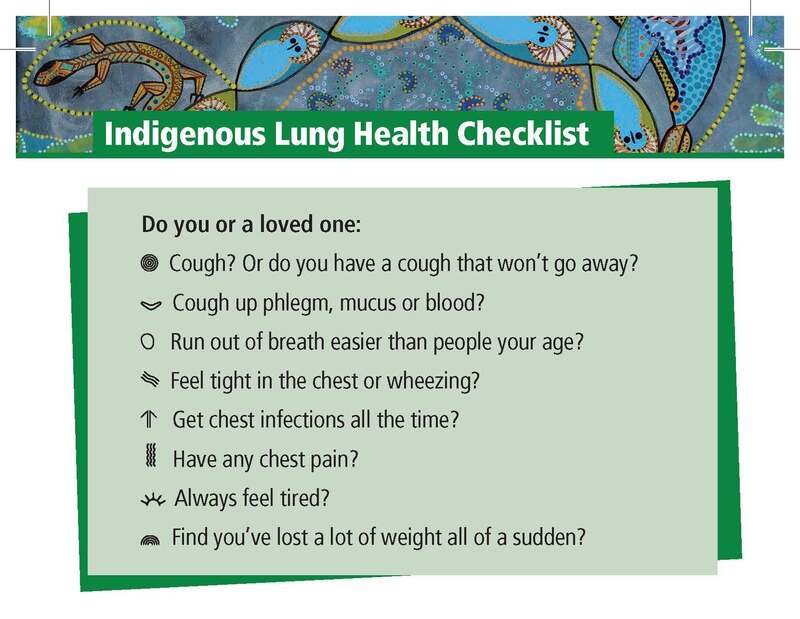 ” Lung Foundation Australia in collaboration with the Queensland Government’s Indigenous Respiratory Outreach Care Program (IROC) have developed the Checklist specifically for the Indigenous community. It only takes a few minutes to answer 8 questions that could save your or a loved one’s life. 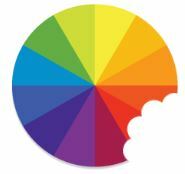 It can be completed on a mobile phone, tablet or computer. 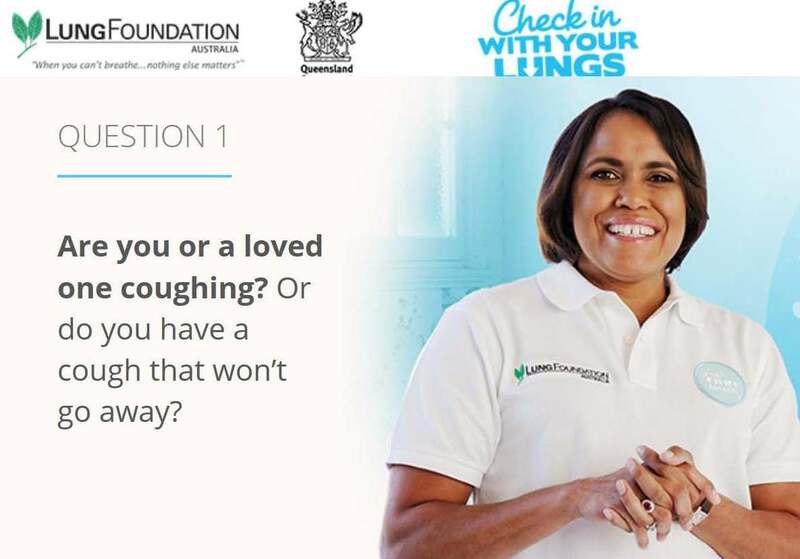 The Indigenous Lung Health Checklist is narrated by the Lung Foundation’s Ambassador and Olympic Legend Cathy Freeman. 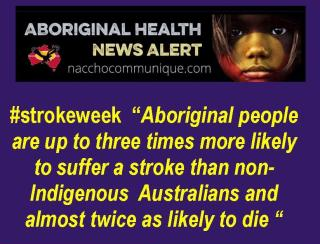 Please go to the site as Indigenous peoples are almost twice as likely to die from a lung-related condition than non-Indigenous Australians. 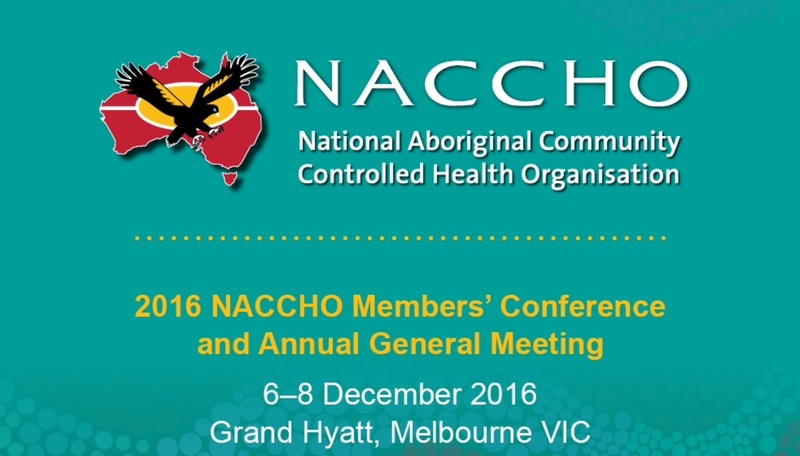 NACCHO #NNW2016 Aboriginal Health and Nutrition : What works to keep our mob healthy and strong? 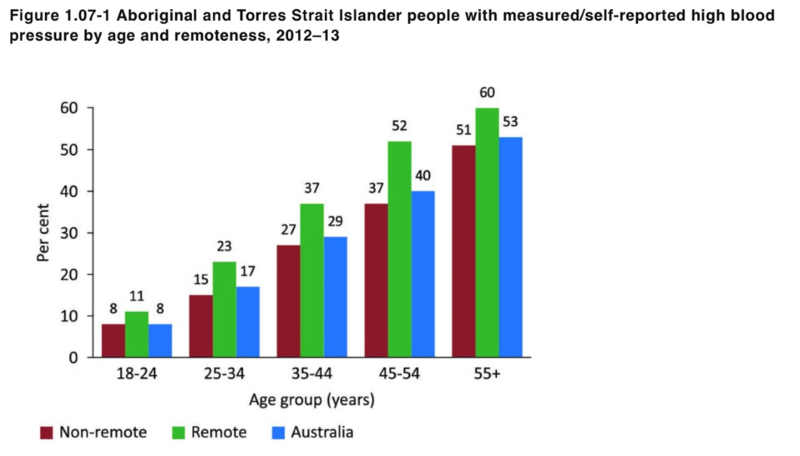 ” More effective action is urgently required in order to reduce the unacceptable health inequalities experienced by Aboriginal and Torres Strait Islander peoples. Consistent incorporation of nutrition and breastfeeding advice into holistic maternal and child health care services. Creation of dedicated positions for Aboriginal or Torres Strait Islander people to be trained and supported to work with their local communities to improve food security and nutrition. Development of strategies which increase access to nutritious food, such as meal provision or food subsidy programs, should be considered for families experiencing food insecurity. Adoption of settings-based interventions (e.g. in schools, early childhood services and sports clubs) which combine culturally-appropriate nutrition education with provision of a healthy food environment. The evidence suggests that the most important factor determining the success of Aboriginal and Torres Strait Islander food and nutrition programs is community involvement in (and, ideally, control of) program development and implementation. Food and nutrition programs for Aboriginal and Torres Strait Islander Australians: what works to keep people healthy and strong? The authors would also like to acknowledge the National Aboriginal Community Controlled Health Organisation (NACCHO) for their contribution to this work. Deeble Institute for Health Policy Research, Australian Healthcare and Hospitals Association (AHHA), Canberra. 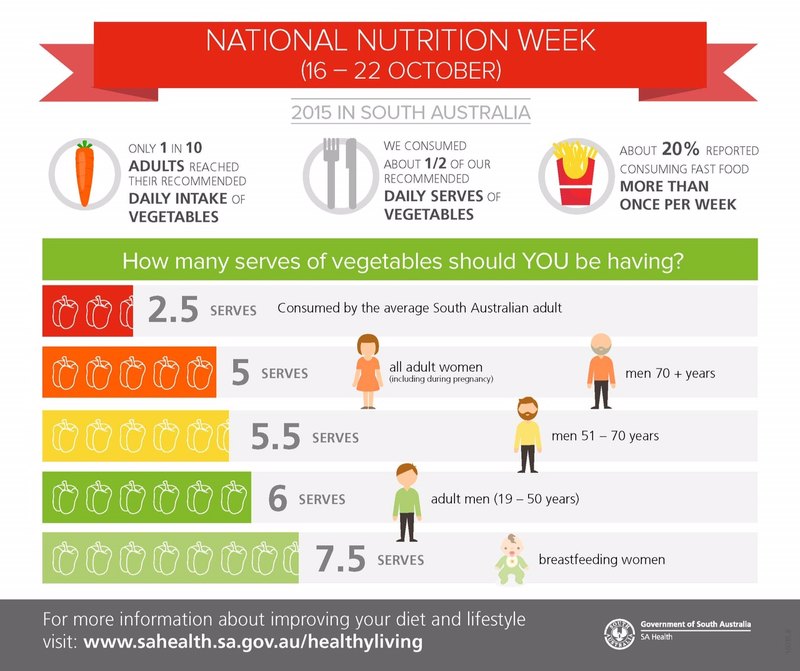 Nutrition Australia, the country’s leading non-profit nutrition organisation and creators of the Healthy Eating Pyramid, is challenging all Australians to take the pledge to eat more veg during National Nutrition Week, 16-22 October 2016. With an alarming 96% of Australians failing to eat their recommend daily intake of vegetables, Nutrition Australia’s Try For 5 theme encourages all Australians to discover new ways to add veg to their day. The recommended daily intake for people over 4 years of age is around 5 serves of vegetables and legumes a day (75g per serve), yet data from the Australia Bureau of Statistics shows that the average Australian eats around half that amount. “It’s the food group that we eat the least, yet it’s the one we should eat from the most!” said Lucinda Hancock, Accredited Nutritionist and CEO of Nutrition Australia Vic Division. “In fact the average Australian gets over a one third of their daily kilojoules (energy) from ‘junk foods’, like biscuit and cakes, confectionery, take away foods, sugary drinks and alcohol,“ said Mr Rees . Eating a variety of vegetables each day exposes us to a wide range of nutrients for better health. We should eat different coloured vegetables every day because each colour carries its own set of unique health-promoting properties called ‘phytochemicals’ that give vegetables their colour, flavour, taste and even smell. Trying new things is a great strategy to boost your vegetable intake. Whether that’s trying new vegetables, a new recipe, or trying vegetables in a way that you normally don’t consume them like at breakfast or in a snack. Experimenting with vegetables and preparing foods can give you the knowledge, skills and confidence to easily prepare vegetables to suit your tastes, which makes you more likely to buy, cook and consume them. 2016 is International Year of the Pulse (another term for legumes) and they are a cheap and versatile source of fibre, protein plus many other important nutrients. We should have 2–3 serves of legumes a week for health benefits. Sibylla Stephen is one half of children’s band, Teeny Tiny Stevies, who are ambassadors for National Nutrition Week 2016. Mum-of-two Sibylla and her bandmate and sister, Beth, are releasing the animated video for their song “I Ate A Rainbow” during National Nutrition Week, which was written as a tool to help parents teach their children about why we should eat different coloured vegetables every day. And it’s a perfect match with the storybook, I’m having a rainbow for dinner published by Nutrition Australia’s Queensland Division. “I’m thrilled to be an ambassador for National Nutrition Week because I think we can all do with learning some new quick and easy ways to feed ourselves and our families with vegetables,” Sibylla said. “My children are four and one, and their relationship with food changes as they get older. It can be incredibly frustrating to get them to eat their veggies, but I always encourage them to try different veggies cooked in different ways, and learn what they do and don’t like. The National Aboriginal and Torres Strait Islander Health Plan takes a “whole-of-life” approach to improving health outcomes. Priority areas include maternal health and parenting; childhood health and development; adolescent and youth health; healthy adults and healthy ageing. This Policy Issues Brief provides a synthesis of the evidence for food and nutrition programs at each of these life stages. It answers questions such as, what kind of food and nutrition programs are most effective for Aboriginal and Torres Strait Islander peoples? And, how should these food and nutrition programs be developed and implemented? Nutrition research has been criticised for focusing too much on quantifying dietary risks and deficits, without offering clear solutions. Increasingly, Aboriginal organisations are calling for strength-based approaches, which utilise community assets to promote health and wellbeing. Evidence-based decision-making must consider not only what should be done, but also how food and nutrition policies and programs can be developed to support the existing strengths of Aboriginal and Torres Strait Islander communities. 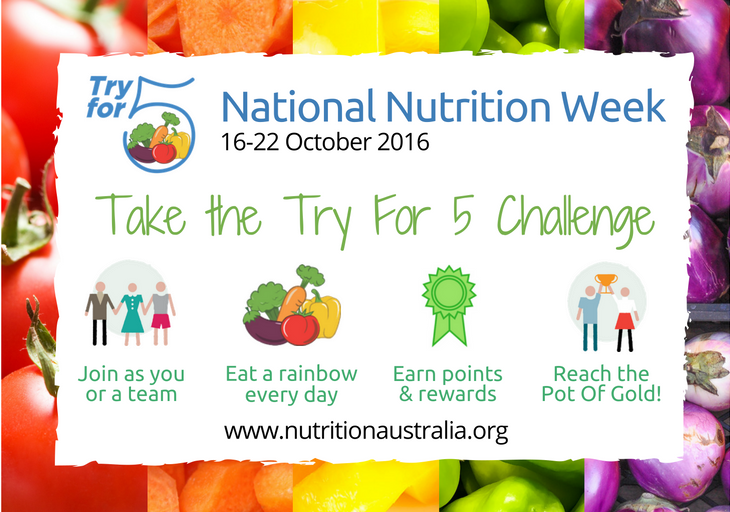 National Nutrition Week runs from 16-22 October 2016. Click here for recipes, tips and resources to discover new ways to add veg to your day.